I ride ultra endurance cycle events because I enjoy it, plain and simple. However, it is also clear that others enjoy reading about my adventures as well as following the races online as “dot watchers”. The supportive messages I receive are very welcome but its great to be able to offer people other ways to lend their support such as donating to a charity. 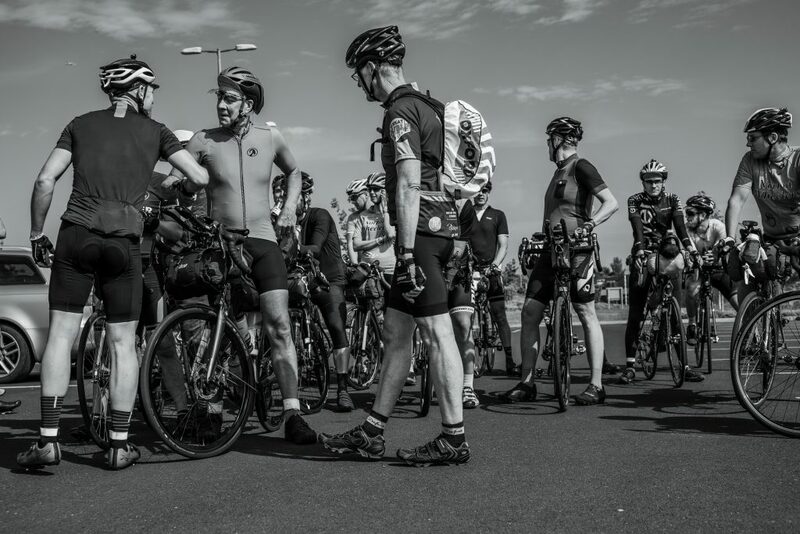 I don’t claim to be doing any of the rides “for charity” but if I can fundraise for a charity as part of my riding then that really is so much the better! This year I’m fundraising for The Blue Marine Foundation a UK based charity dedicated to creating marine reserves and establishing sustainable models of fishing. 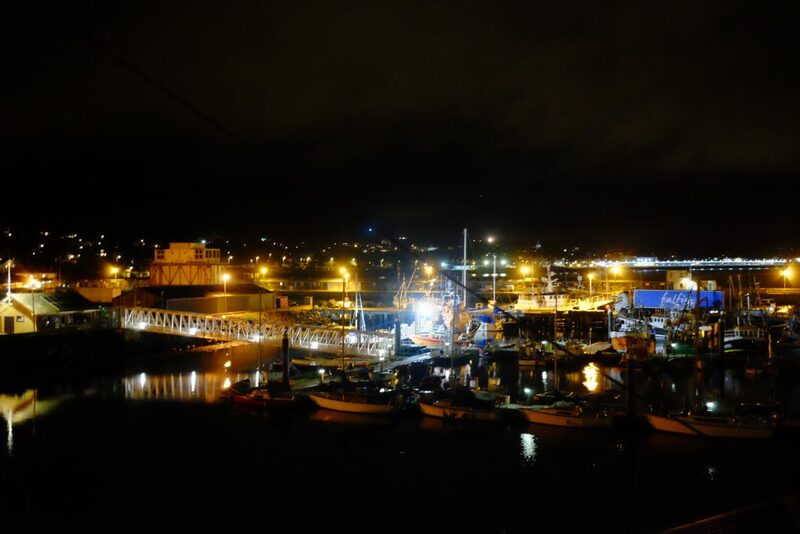 THE PROBLEM – 90% of wild fish stocks are over-fished or fully exploited. Without fish, the oceans cannot absorb CO2, millions of livelihoods are lost and food security is threatened. Seafood happens to be my favourite food, whilst the oceans have indirectly supported my entire working life since I was 21. Windsurfing and water sports instructor, wind and surf board builder, yacht painting contractor, yacht painting consultant. I’ve lived on the coast in various countries continuously since I left London in 1980. Boats, windsurfing, surfing, kite-surfing, paddle boarding, ocean sports of every description have inspired my leisure time. The yachting industry has provided for me and my family for decades. In fact the cycling I now do is the least ocean centric thing I’ve ever embarked upon! THE SOLUTION – By designating large parts of the world’s oceans as marine reserves and banning industrial fishing, fish stocks are able to recover and ecosystems thrive. I delight in the idea of giving back to the seas and oceans for all the support, joy and nourishment they have provided to me. Creating marine reserves and developing sustainable models of fishing seems, to me, an obvious thing to do but actually making this a reality is no easy task when dealing with the many and varied commercial interests involved. The Blue Marine Foundation have demonstrated their ability to truly affect positive change and have a fascinating portfolio of projects. Welcome to the second and final chapter recounting my 2018 TAWR journey. In part 1 I covered my exhilarating dash to make the Kilrush ferry on day four, the Sunday evening. Arriving there in a credible 9th position. If everything had carried on to plan then I only had a little over 2 days to go. Everything did not carry on to plan. There was something special about that ferry ride for me. When you enter one of these events you become part of a tribe, a unique band of brothers and sisters, with an unspoken kind of camaraderie. There were just four of us who had made that 19:00 ferry. These were my comrades. 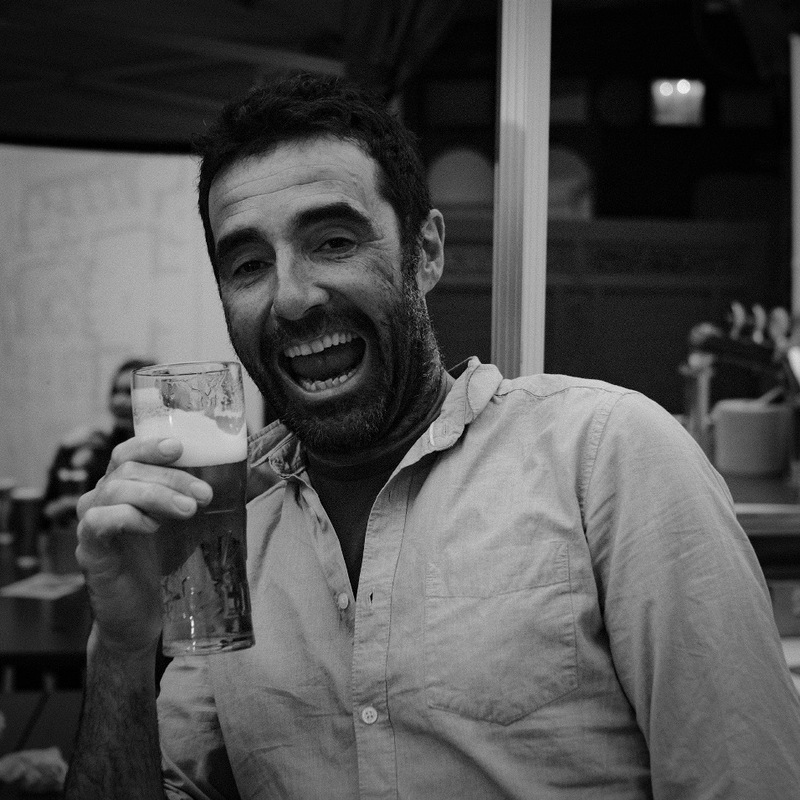 Pawel Pulawski, grinning, but suffering with saddle sores. Matt Ryan, looking far to fresh but also dealing with a grumbling achilles. David Tomlinson, looking absolutely shattered, and myself, suffering with saddle sores and looking rather old I imagine. We spent the short crossing huddled in a sheltered rest area comparing tales, struggles and plans. Pawel and Matt were going to ride on at the other side, David and I were heading straight to whatever B&B’s we could find. Then that was it, a brief spell of companionship ended and we went our merry ways. I found a very closed looking B&B just minutes away from the ferry and checked in. The helpful landlady directed me to a secure place for my bike and I duly unloaded and went to the Spar next door to re-stock on fuel. I think I also found a chippy but I don’t recall clearly. Oh how good the shower felt but my backside was not happy at all. Two, raw, thumb sized patches of skin that mirrored my saddle throbbed steadily. The fresh air was instantly soothing. 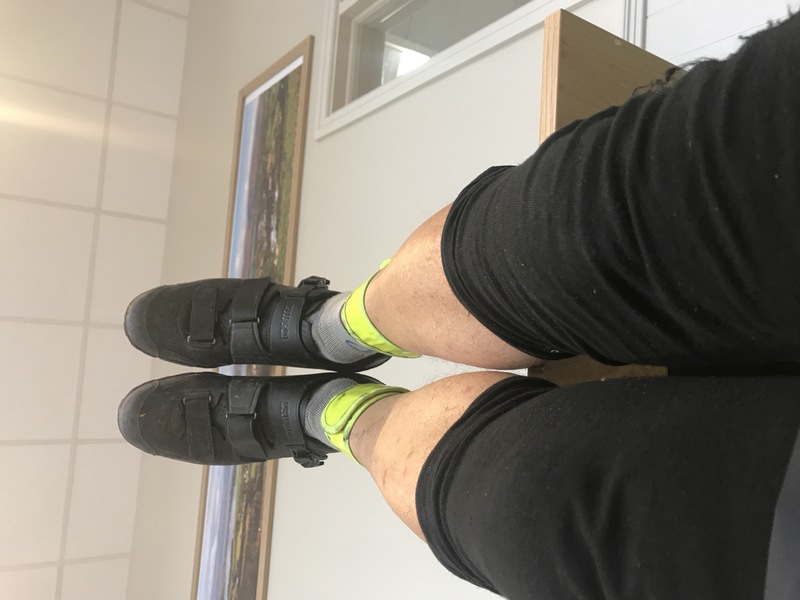 In TAW 2017 I had suffered with minor saddle sores, no great drama. I’d say about equal to how my backside was on the end of day 3 of this TAW18. In 2017 my shorts were getting a lot of rain rinsing and also had a thinner chamois pad. This year I’d invested in a high end set of bibs with a thick “endurance” pad. 2018 had, so far, been relentlessly hot and sweaty with no rain rinsing and I’d relied almost solely on wet wipes and chamois cream for cleanliness. Poor plan! On reflection I think the thicker pad just makes for more movement or rub against the skin and holds moisture. 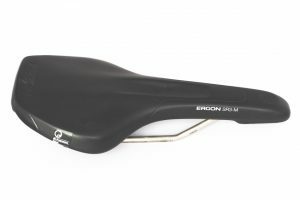 I’ve heard others say a thick pad and/or more cushioned saddle causes more problems and this certainly reflects my experience. I’ll keep experimenting but I think two pairs of shorts, regular rinsing and a thinner or even no pad could be the way forward. 03:18 and I push start on my Wahoo Elemnt….. OUUUCH! Oh how my bum hurts, I can barely cope with any saddle pressure. Time to get macho! If I can just stay fully planted in the saddle then I know the pain will ease or I shall become accustomed to it at least. Easier said than done. This was such a struggle and it seemed I was constantly stopping to apply cream. “Ummm, this is becoming a real issue…” After repeated wet wipe and cream sessions I finally had the bright idea of placing wet wipes in my shorts! It was as if I’d found the holy grail! Pain drastically reduced, I could ride in the saddle. Still uncomfortably, but I could do it. Eureka! The tracker reveals that I rode past the sleeping forms of Matt and David just before they got underway. Off to Dingle we shall go! Again my memory is vague and I recall little other than a painful backside and increasingly numb, tingly, fingers. It must have been early to mid afternoon when I first noticed my neck feeling weak. Oh no! This was at more or less the exact same point that it had given out last year. I knew the symptoms, could read the warnings and see into the future…ease the strain on your neck or it’ll be a repeat of last year and ride over. T bars were duly banned and I rode as sit up and beg as I could manage. This just put more pressure on my sore backside! Doh²! David Tomlinson reeled me in at the Gap Of Dunloe. He looked in far better shape than he had at the ferry and after riding together awhile he finally took off into the distance. Leaving me tootling along in my neck easing position. Not long after Matt arrived and abused me for setting away too early after the ferry. 🤣 Matt and I had some laughs on this ride. He’s a very good natured chap really. We made it to Sneem moments before the general stores closed. Matt duly charmed the ladies therein to make us instant coffees as the regular coffee machine was switched off. He later went on to tell me off for not saying please over something… it was quite comical, the banter we had going. Sadly though, I knew my race with Matt was done along with any chance of a top ten placing. I simply had to make a long stop to rest my neck or face a repeat of 2017 and be forced to scratch from the race. I wished him well and away he rode to finish his adventure. Resting was an easy decision as I feel strongly about staying safe and responsible on these events, on public roads. In 2017 I’d ridden quite some distance with the back of my helmet cable tied to my jacket as a way of stopping my head falling forward. Don’t do things like this people; no contraptions, no neck braces. If you cannot hold your head up and look readily in all directions then you’ve no business riding a bike on a public road. It was near 22:00 when I knocked on the door of a nearby B&B. The landlady eventually answered in her nightgown and looking confused, grudgingly, showed me to a room. She frowned; clearly not used to such vague, indecisive, guests. Needless to say I didn’t manage to sleep past breakfast. Yes I was tired but I was also in the middle of a race and feeling a little hyper and raring to go. My idea was for a 24 hour stop with lots of good food, yoga and rest. Still, it was a struggle to stay put. I saw the very helpful village pharmacist and got some antibiotic, steroidal, cream for my saddle sores and some more wet wipes. I re-charged my power bank and devices, hung my washed clothes out to dry and tried to get more sleep. I exchanged a couple of messages with an unlucky Karen Tostee who was stranded a little way up the road waiting for a mechanic to sort out her jammed, broken gear cable. I pressed start on my Wahoo at 13:17 meaning that I’d had about 16 hours rest. 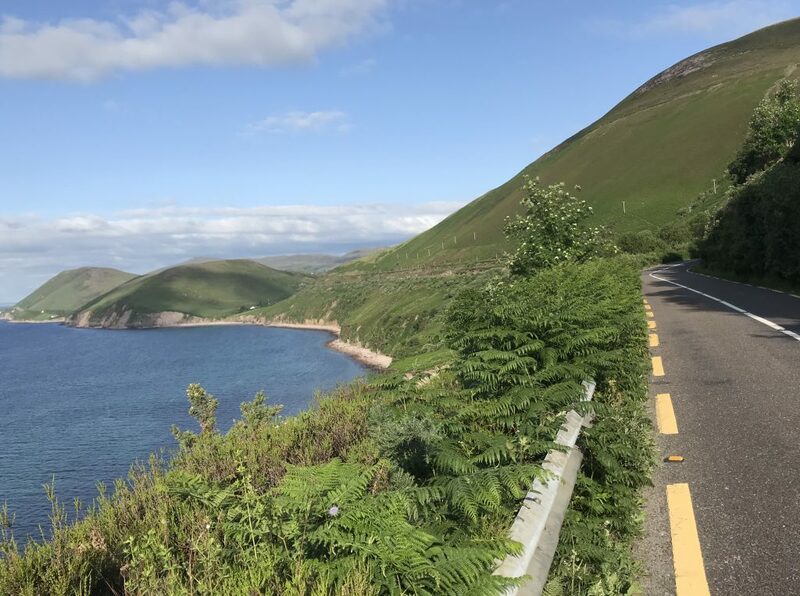 It was time to complete the Ring Of Kerry, one of the very finest parts of the route, achingly beautiful and great riding. 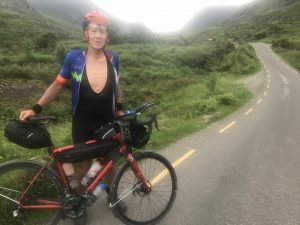 Things were feeling really tough now, my sores were sore, my hands were numb and though my neck was holding steady I felt as if I was riding with the brakes on. I missed the fresh form I’d had earlier in the race. Molls Gap arrived and I enlisted the support of a animal spirit guide! The late collie dog, Molly, that had been the very best of companions to a good friend of mine. Molly would have totally owned Molls Gap, she wasn’t one for sharing with other dogs! I pictured Molly trotting along with me, shedded a tear or two but drew on her indomitable spirit to inspire and balance my spirits. Thanks Molly. Awhile later a congenial Alex Hill turned up and we rode much of the rest of Molls Gap chatting together. I settled in for another night shift and rode on through until 05:00 and a little past Cluin Allihies. Strangely I just don’t recall my bivi spot, the tracker simply shows me in a field. Away again a little after 07:00 and off to Lambs Head where I met up with Paul Alderson, fellow competitor from 2017 who was using this TAWR as training for his Transcontinental Race campaign in July and not pressing on too hard. Selfie time. Ragged but happy. 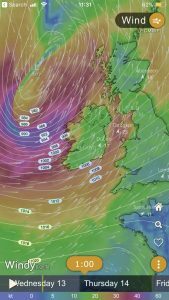 This was to become storm Hector day with some proper Wild Atlantic Way weather. I didn’t mind as it only seemed proper. I felt the rest of the riders had had it too easy with all this sunshine. Truly, they were missing out on the full TAWR experience. Further silliness. At some point along the N71 I developed a very painful muscle in my right thigh that made pedalling with that leg really difficult. I just could not find any stretch that would get into it. In desperation I called my wife, who’s something of a yoga expert. So ensued a really comical time with me rolling about on the road side trying different stretches and giggling manically. At one point a lady pulled over to check I was ok and timed it just as I was chanting “I’m such a manly man!” 🤣 Sadly though, stretching wasn’t helping. I stopped at a supermarket cafe somewhere near Doonemark to rest and take stock on my situation. A hot meal was very welcome after the wet ride I’d been having. Jeremy Koijmans also arrived and I think it’s fair to say he wasn’t enjoying the wet weather anywhere near as much as me! He suggested I elevate my leg as that may help ease the pain off. The patrons of the cafe were remarkably understanding as they stepped past my prostrate form with a smile. I worked out that I’d been riding in a way that had me almost back pedalling in an attempt to reduce the pressure on my sores and these particular muscles weren’t trained for that. Boo! I’d taken Ibuprofen for the sores pain a day or two back but didn’t want to be filling myself with painkillers for days on end. I’m certain it’s not good for you. So, ignore pain, soldier on, painkiller free. 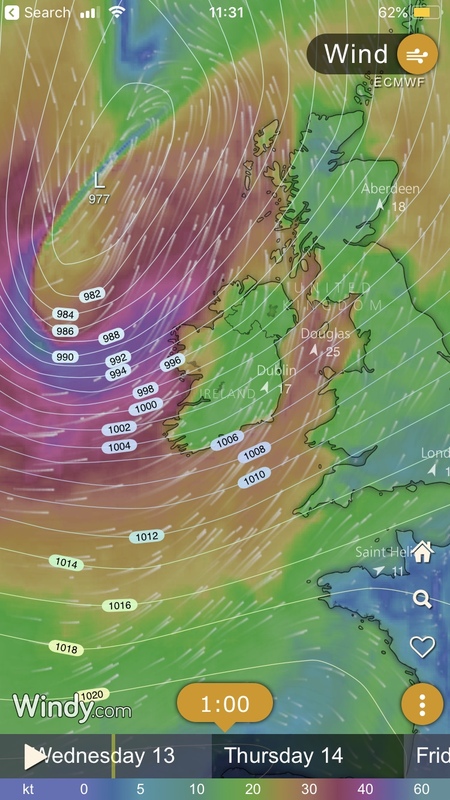 The weather got properly wild for the rest of the day with driving rain and howling winds. Yes! Proper Atlantic weather, call me mad but I love it. I met Jeremy again and he certainly wasn’t feeling as inspired by the weather and rode off grumbling. No matter. 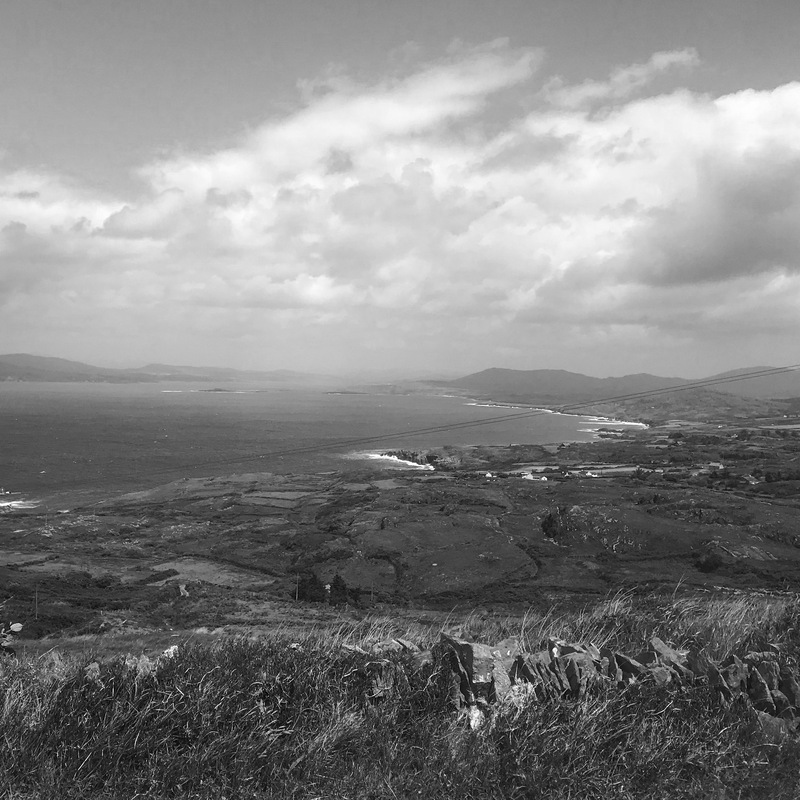 Some slow wet kilometres further and I made it to the top of the ascent on the Sheep’s Head peninsular. The point at which I’d abandoned the race the year previously. It was an emotional moment that reinforced my determination to finish. It was just me and the route now, no racing, just keep making progress, hold it together till the end. I made it to the tiny village of Kilcrohane at about 19:00 and in atrocious weather but noted some good bivi spots near the pub. Ok, out to the headland and back before a pub dinner and sheltered bivi, I might even have a Guinness! I had it all planned. 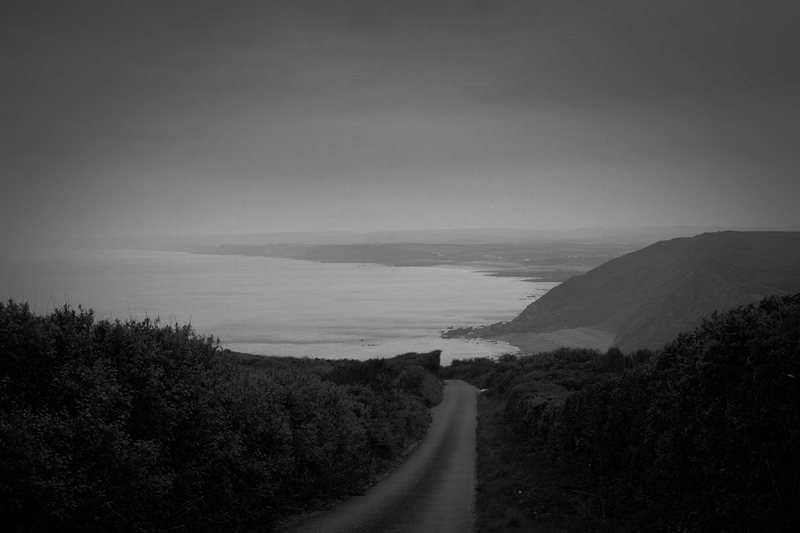 The ride out along the headland was brutal with driving rain and headwinds and of course not aided by my many pains. It was worth it at the end though as the wind whistling round the buildings was insane. I leant my back into it and held 18kg of loaded bike in front of me and it blew out in front like a flag. I couldn’t work out how to take a selfie of that. The ride back to Kilcrohane was swift with the strong tailwind. To the pub! Pah! No food served, “…you have to go to the B&B, that’s the only place offering food.” Oh well if I must; it felt like a bit of a cheat though. Still I did really need some recovery time to aid my failing, ageing, body. 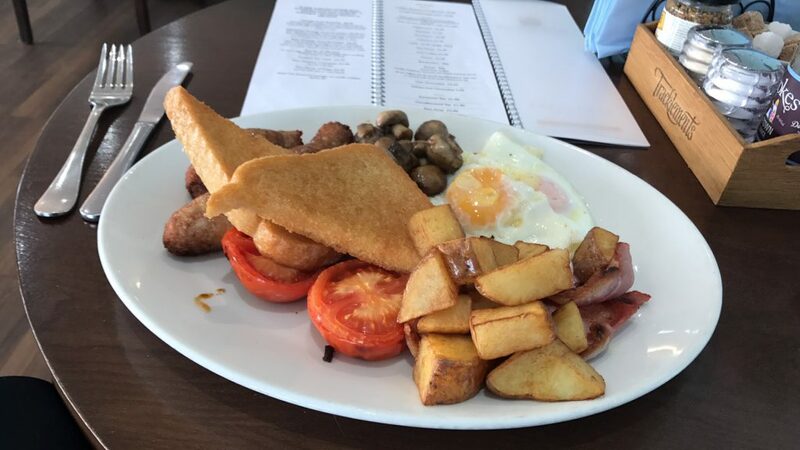 A hearty meal, sleep and leisurely full Irish breakfast had me set for the final push to the Kinsale finish. The storm had past and it was a beautiful sunny day but I was in a lot of pain. Just 206km to go but I ended up averaging a lowly 16.6kph and it took me 12.5 moving hours in 17 elapsed. I could barely ride with my one functioning leg and as the day past the same muscle in the other leg began to lock up as well. I became steadily slower and was forced to walk on many hills as I simply couldn’t pedal with any strength. I was still moving however and all I could do was keep re-framing the situation according to my changing circumstances. I plodded along pushing my bike as the sun set. Strangely, I had a tremendous sense of well being in spite of my difficulties. Here I was strolling freely on a beautiful summer’s evening in southwestern Ireland. Many people travel from all over the world to enjoy similar. My issues were self inflicted, there was nothing to feel hard done by about. Still, I cannot say I enjoyed watching the steady stream of riders passing me by. As the night wore on I was fully ready for it all to end. The kilometres ticked by ever slower and there seemed to be a relentless succession of hills that often had to be walked. Earlier, I’d passed people relaxing on pub terraces having dinner and thought how lovely that would be. Stupidly, I’d disabled the “climbing” page on my Wahoo some months previously. This screen provides an elevation profile of your route so that you can see what lays ahead and how far up a climb you are (I’d figured that not knowing was er..”character building”). I think I’d built enough character by now. Just keep moving Chris! Around 03:00 on Friday 15th June I literally limped into Kinsale, totally spent. I laughed at the sight of the final short and very steep climb to the finish at the holiday village. Race director Adrian must have been delighted when he saw that. There was no way I could ride up there no matter how much I wanted to. As it was I had to pause half way whilst walking! I’d made it though, I had made it, and I suppose a mid 40’s placing isn’t too shabby for an old bloke anyway. Still, I have unfinished business with this ride. One day I’ll have a solid clear run at it with no neck troubles. Not 2019 though, I have other ideas for that. reflections, what did I learn? Any physical issue you have has a knock on effect to other areas of your body as you compensate for it. 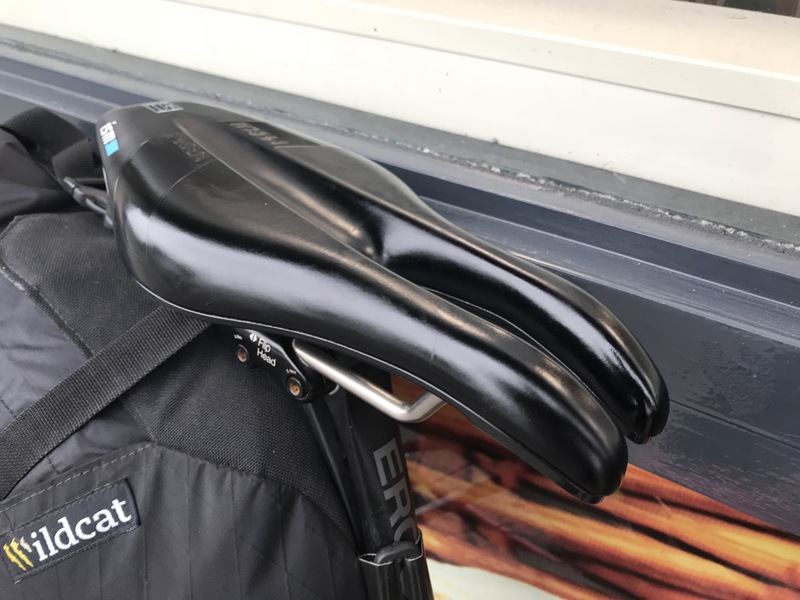 Particularly saddle discomfort as it tends to make you place more weight on your hands, arms and legs, leading to nerve damage, numb fingers and in my case also trashed legs. Self care and recovery are critical. 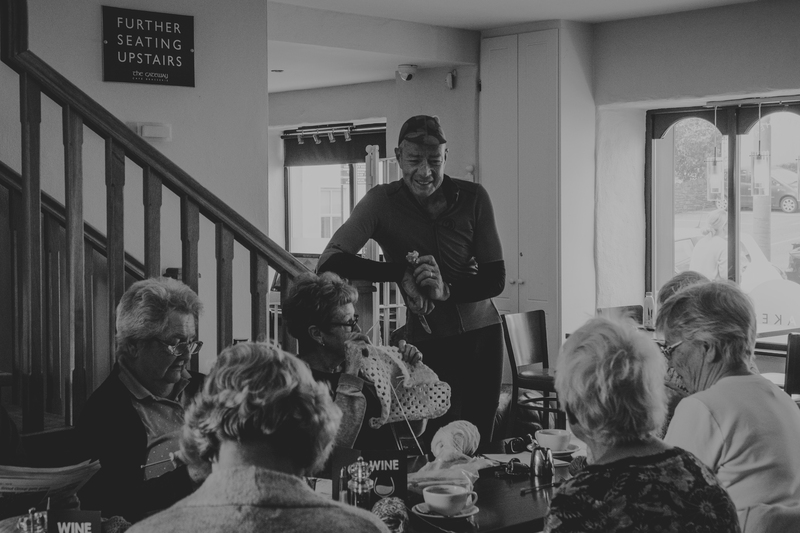 Stay on top of your aches and pains, a ten or twenty minute stop to adjust bike fit, stretch, ease tyre pressures or rinse your shorts could save your race. I’m 59 not 29 and I need to make better allowance for that but without giving into age as being an excuse. How do I really need to pace myself for this or say a two week event? Would longer rest stops ease my problem neck for instance? I’ve much to learn. Yes, I still love these rides/races. Some months have passed now since I completed TAWR 2018. I’ve had plenty of time to reflect on the event and what I’ve learned. The time is right to share my perspective. This is written in two parts as I approached and experienced the race/ride as two distinct phases. Phase 1 make it to the ferry by Sunday night, day 4. Phase 2 make it to the finish as quickly as possible. 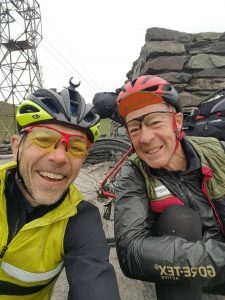 TAW 2017 was my first ever ultra endurance cycle event and I ended up retiring or “scratching” from the race just 300km from the finish and in an astounding, to me, 6th place. This was due to what’s known as Shermer’s neck whereby your neck muscles become so fatigued that they can no longer adequately support your head whilst cycling. TAW 2018 presented a different set of challenges because race director Adrian O’Sullivan had altered the course to include a ferry trip across the Shannon. I saw this as having the effect of making it two races in one. 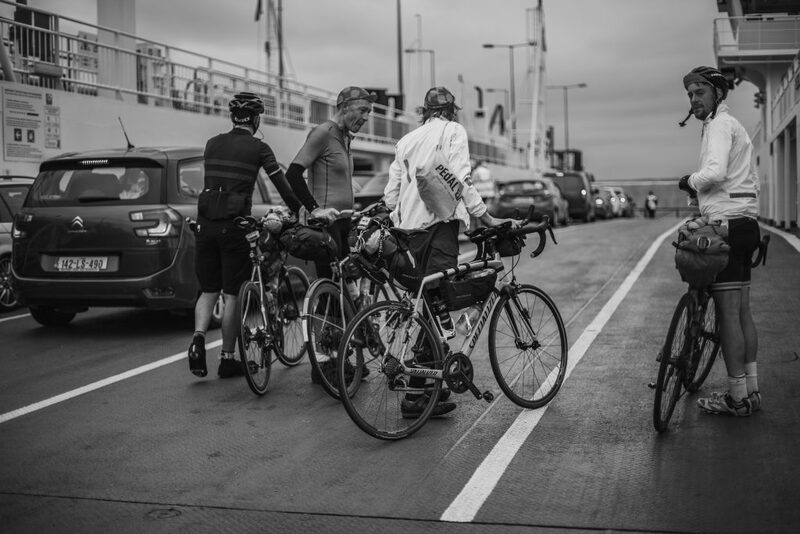 Those who made it to the ferry before the last ferry on the Sunday (Day 4) night would have about a 10 hour advantage over those behind that missed the last ferry. Race two was within the group that made that Sunday ferry. The challenge of reaching this ferry really piqued my imagination and inspired me. 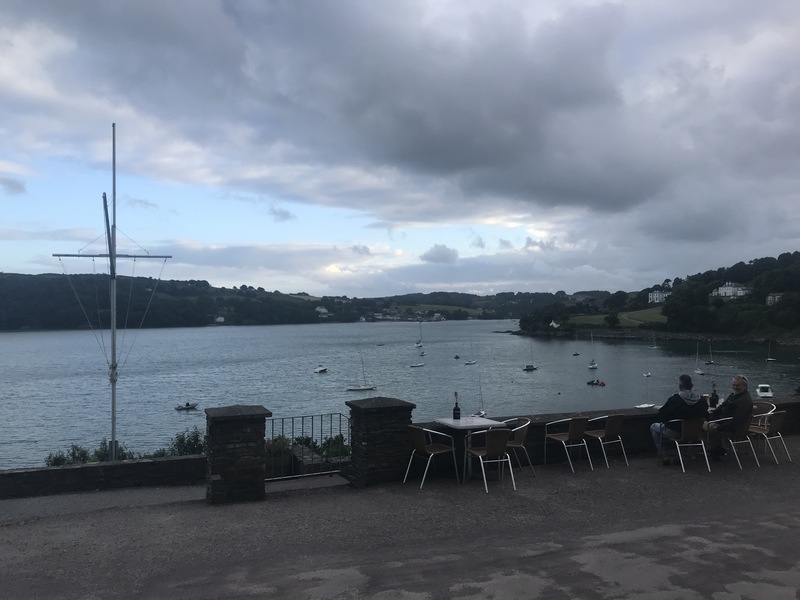 I knew it was a hard task and looking at my progress in TAW 2017 revealed that I made it to near the ferry terminal on the Monday (Day 5) at around 18:00. Basically I needed to shave about 24 hours off my 2017 time to cover a similar distance. Eeek! I knew from my 2017 race that I could certainly ride more efficiently and I was also wiser about re-supply options and many other aspects of making progress. So, there it was, my challenge, make the last ferry on Sunday and then secondly make it to the finish. My technique is to split the GPS route into ambitious but theoretically achievable day length targets. I use RideWithGPS for planning this as it offers me estimated times based on the terrain and my ride history. I work best with high targets that I may fail to make rather than with sensible targets that I hope to surpass or absolutely have to make. You’ll notice that day 4 is shorter and you should note that Tralee is some 85km further on than the Kilrush ferry; this is the “cushion” in my planning. In hindsight I really think I should have planned more achievable days rather than trying to truly outdo myself! 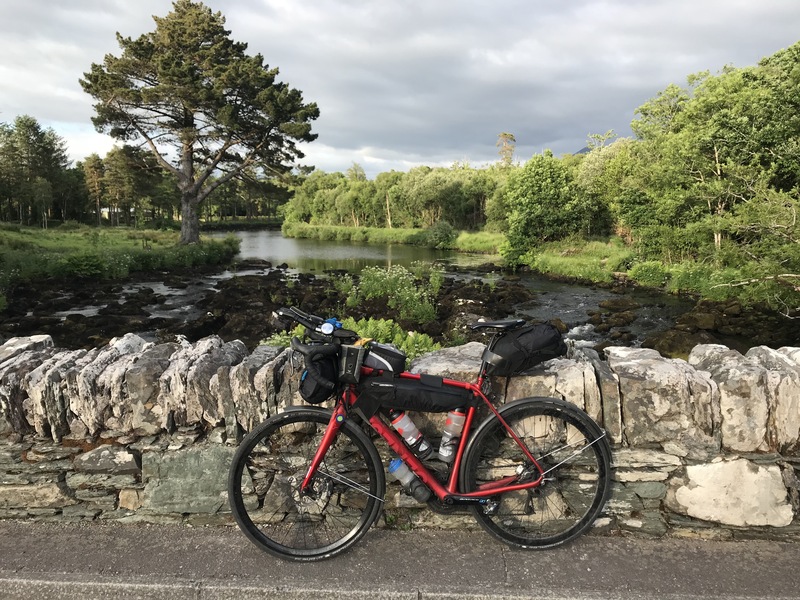 Dublin to Buncrana – 363km, 15hr 28min moving time, 17hr 30min elapsed. 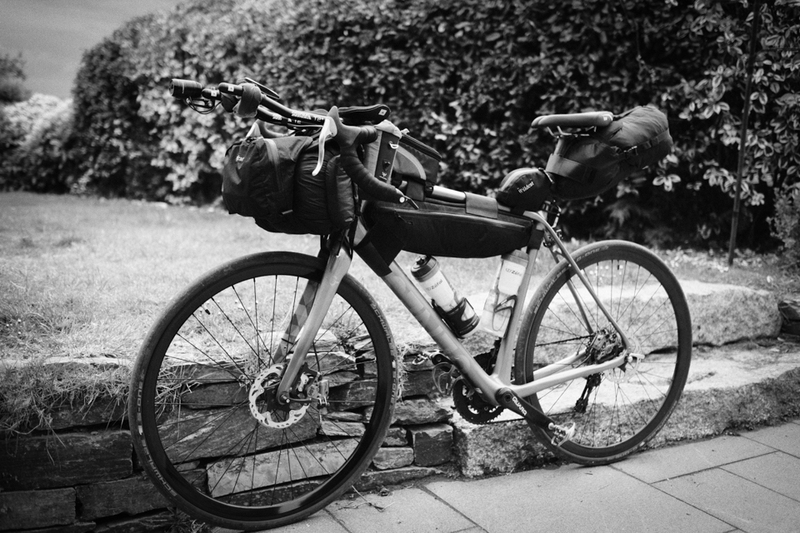 Bunncrana to Skreen – 372km, 17hr 25min moving time, 19hr 44min elapsed. 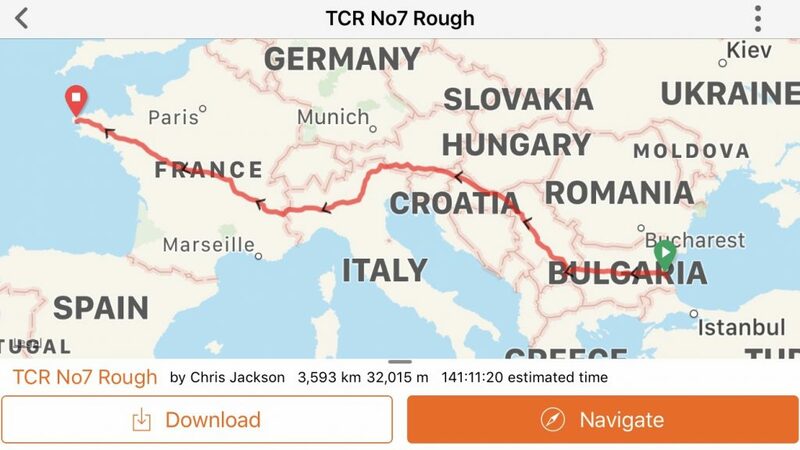 Skreen to Check Point 2 – 357km, 15hr 50min moving time, 18hr elapsed. 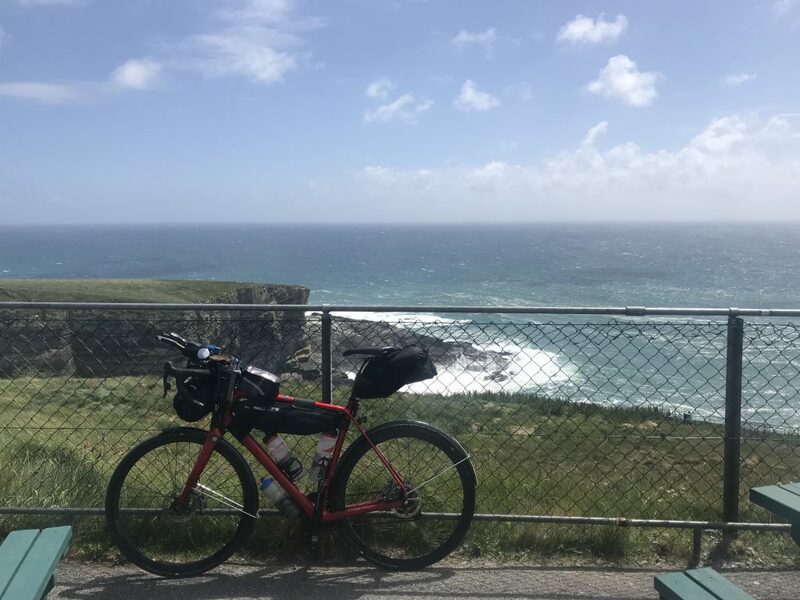 CP 2 to Kilrush ferry – 315km, 13hr 26min moving time, 15hr 13min elapsed. I am pretty proud of this achievement I have to say. No wonder I looked and felt knackered. Coach Martin Burrows had done an excellent job in periodising my training up to the event. I was raring to go with all indications suggesting that I was about 10% stronger than the year previous. It was to be a staggered start organised alphabetically by first name, which meant I was in the first group away, accompanied by race favourites Bernd Paul and Bjorn Lenhard and so it was that I set off directly behind those two and 4th place finisher Aidan Allcock. I could maintain their pace but I knew that I could not maintain it for more than a few hours so I eased back and let them ride off. It wasn’t long before I was riding alone, then surprisingly Bjorn rode past me, seems I had a better route! Then it was Karen Tostee who whizzed by with a smile. Awhile later she went by again, “I want your route” she said! 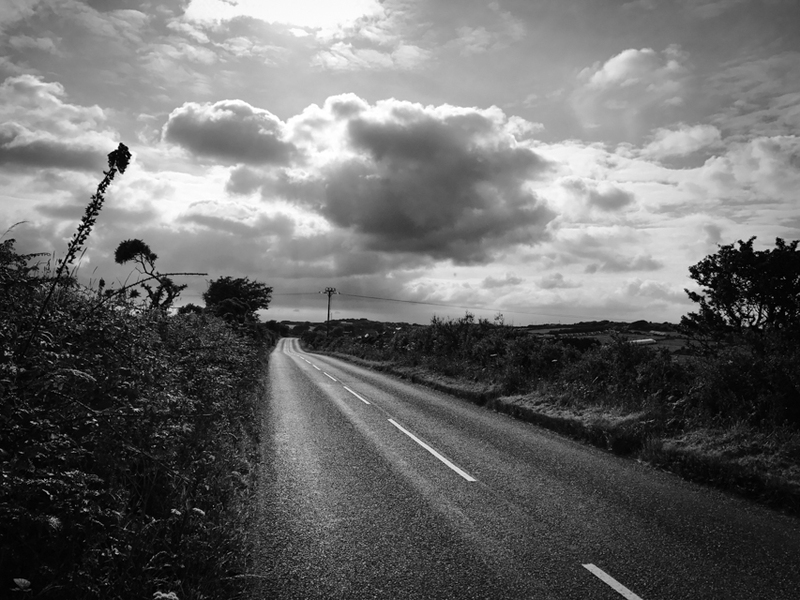 I knew that the only way I was going to make my target was to ride the 230km to Derry as close to non-stop as possible. I had 3 x 950ml of water and juice mix plus 2 Cokes and I think a Lucozade, as well as various snack bars. It was hot for Ireland though with temps in the high 20’s. This meant I didn’t have enough fluids for me to do this distance in these conditions but I didn’t want to stop either. As luck would have it I rode past a chap hosing his front garden who kindly let me top up my bottles with barely a pause. Result! Karen rode past again! She’d stopped to refuel, that lady is quick and if it hadn’t been for some mechanical and other problems she’d have been a serious contender for a win I think. I made it to Derry as 11th to CP1, I was pretty happy with that. I rode on a bit and stopped at a Spar to refuel and provision for the night ahead. So far so good. It was refreshing to be into the cool of the evening but I was well aware that I still had about 130km to ride to make my days target. 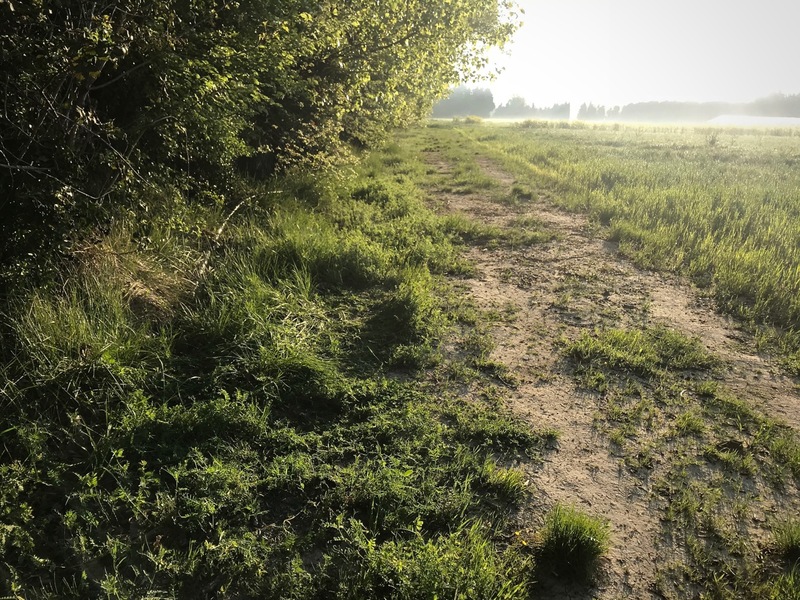 All was going well and I’d already ridden well past my previous year’s bivi stop in daylight when I hit a pothole and my tracker bounced out of its cradle into the long grassy roadside verge. Doh! I spent what felt like a very long hour trudging up and down with my torch until I finally located it. Other riders either flew past or paused to check I was ok. Some helped me look though they probably shouldn’t have according to self-supported rules but either way I did find it myself by treading on it! 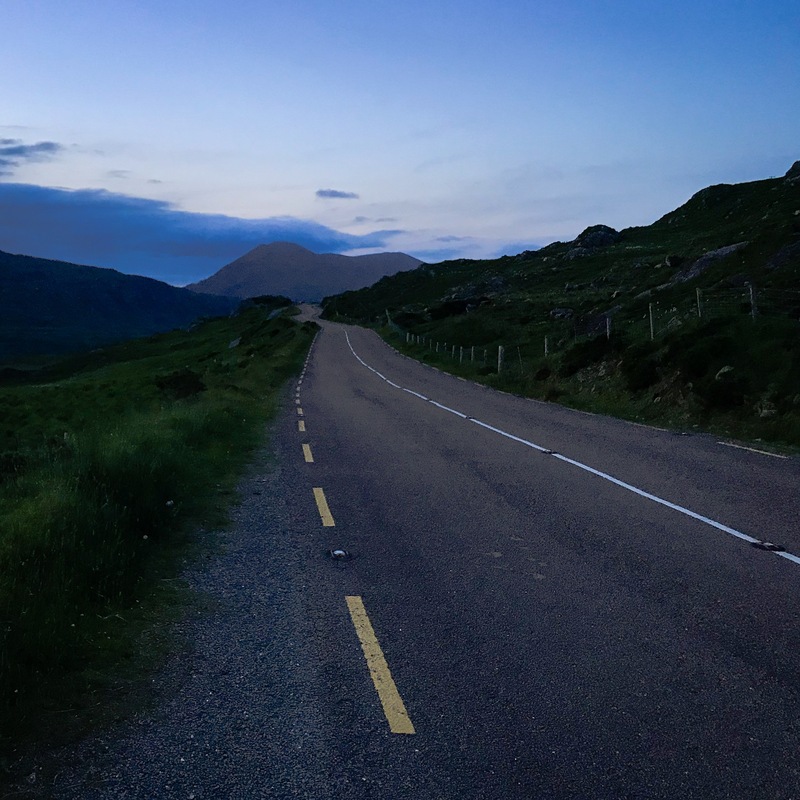 I stubbornly pressed on to Buncrana and made it at about 04:00 as the sky was brightening and with the challenging climb of the Mamore Gap completed in darkness. 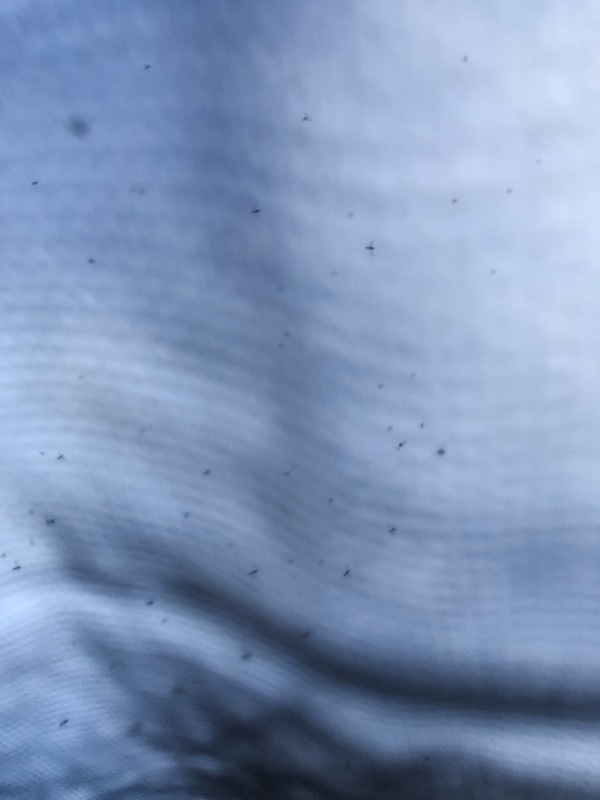 A squadron of midges attack my fly mesh while their compatriots inside torment me at their leisure. It was my worst ever bivi spot choice though, a midge infested field! My bag has a fly mesh but that doesn’t stop all the sods that join you inside. Never you mind the unpleasantness of the wet wipe ablutions before you get in. The midges were intense on many occasions during TAW 2018 whereas in 2017 I didn’t meet a single one. I remember surprising little of day 2 beyond it being hot. My Wahoo recorded a high of 32c. What I do remember however is the infamous gravel section of the route at the Glenveagh National Park. This was a delight because as I reached the lower sections there were lots of teenage school kids ambling along oblivious to my speeding approach. I’d recently invested in a proper old style brrrriiinng brrrrring type bike bell because these don’t seem to annoy anybody and frankly it just gives me a smile. So to alert the either chatting or phone distracted youths I took to ringing my bell cheerfully and high five-ing them as I rode past. It must have been a funny sight and I delighted in the connection, an old git celebrates the day with the young! It raised my spirits and hopefully theirs. 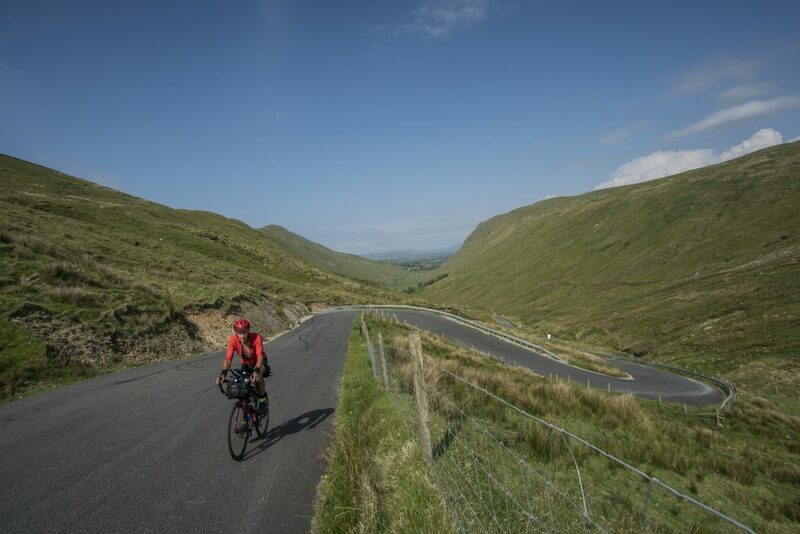 This was also the day of a very hot Glengesh Pass ascent. A lot of riders had passed me in the night but gratifyingly I was slowly moving back up through the field and was back to 12th by late afternoon, though there was a huge and intimidating number of riders very close behind. Again I rode past my previous year’s bivi stop many hours earlier, in bright daylight. I pressed on until about 03:00 which moved me back upto 6th just behind Karen. (I only know this now from re-playing the tracker) That night I bivi’d in the shelter of a timber mill loading bay, midge free. On the road again 07:25, alarm set but again not needed. Operation get to CP2. At this point in the race I’m physically fine apart from increasingly painful saddle sores but all good elsewhere. Equipment wise my Igaro usb charger wasn’t working but I had a powerful power bank as backup that might well see me through to the finish anyway. So no real problems, though I could feel the fatigue and my slowing pace but that was only to be expected. It was about now that I began to meet familiar faces passing me on the road. Firstly Gavin Dempster, young, fast and friendly. We’d chat briefly and compare notes. He was riding fast and recovering longer I was riding slow and sleeping/stopping less as I just don’t have riding that fast in my bag of tricks. Then, come Achill Island, I met up with Matt Ryan and we fooled about to and fro right till the ferry. Achill was very different to how it was in 2017 and rather boring by comparison. 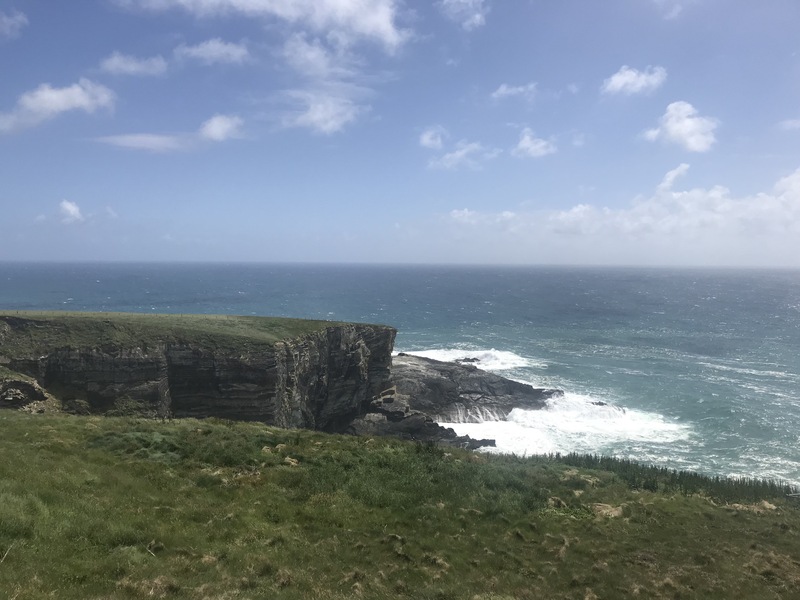 In 2017 it was a gale of wind, rain, sea foam blown from hundreds of feet below and kamikaze sheep leaping into my path. This year it was a slog more than an adventure! On exiting the isle I stopped at a little grocers to feed and stock up for the night, Matt also paused briefly but then rode on ahead. This was a long night section to make it to CP2. 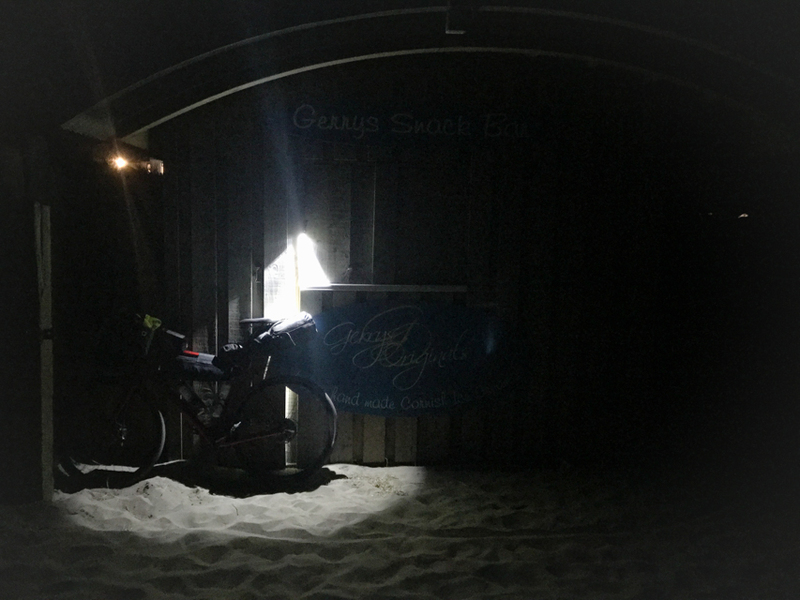 Fortunately I love the peace of night riding and find that time just blurs into a continuum but as the hours passed I was seriously ready to rest and desperately trying to calculate the distance to the ferry and how far I had to get before I could back off a little. Foolishly I hadn’t worked out how far the ferry was from CP2 and in my head I had it at around 250km, a relatively easy day’s ride. It turns out that it’s actually 315km. 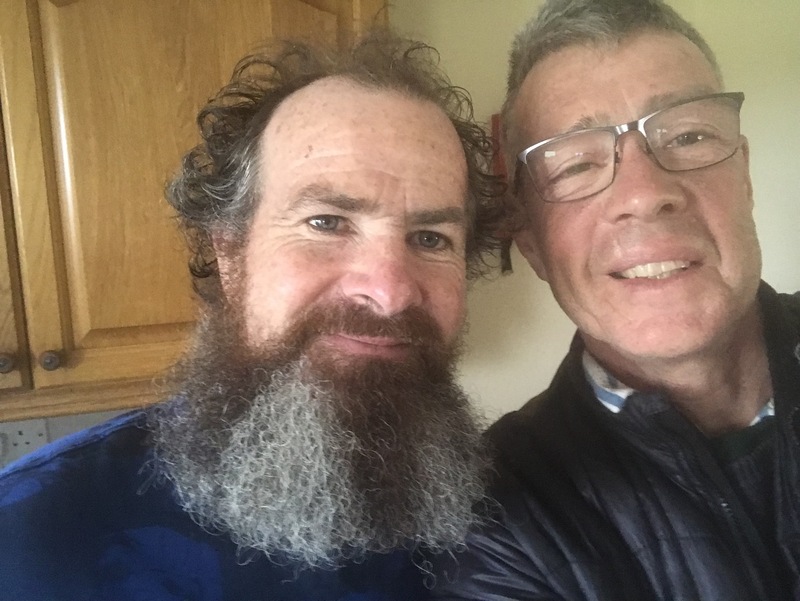 Eventually I made it to CP2 at around 01:30 to the unlikely sight of Chris Herbet smoking a cigarette as he and I think David Thomlinson prepared to depart. Adrian O told me that if I carry on now I’ll be in 5th. That wasn’t an option! I’d planned on another 3hr sleep but I discovered that it was 315km to the ferry rather than my hopeful 250km-ish. Holy cripes! I had it in mind that the last ferry was at 20:00 but I wanted to target the 19:00 one so as to give me some contingency time. All I had to do now was stop an excited Adrian form talking so much and get some sleep. A mere 90 mins lying on a bunk fully clothed and virtually unwashed. This time my alarm dragged me slowly, wearily, to reluctant consciousness and so began my time trial to the ferry. 03:50 am Sunday. This was certainly the hardest riding and most exciting ride of the race for me. I felt fully on the mission, go, go, go! Whilst I wasn’t riding as physically powerfully as day 1 I was giving it my all rather than keeping a bit in the bin. It’s very exciting to fully give something your absolute all. This is a flatter section on the route in general but it is also plagued with some horrendous, cracked, corrugated, saddle sore jarring road surfaces but I ignored it all and basically trashed my neck and hands by spending too long on the TT bars and by taking the weight off my oh so sore backside with my arms and hands. 09:00 had me at Costelloe for my first full Irish breakfast of the trip. The cafe manager smiled and said “you in the race as well? The others left not long ago”, “Indeed I am! Full Irish please and two black coffees” Off I went to freshen up in bathroom. Upon my return a large rotund chap was sat eating a full Irish…my full Irish!! Don’t they know I have a ferry to catch! The waiter, whom I think hadn’t seen me, just brought it out and gave it to the only customer in the room. Oh well, another was duly ordered and I set about my coffee and catching up with the race on my phone. One event that I haven’t mentioned was that I’d accidently left my down jacket hanging on a garage toilet door, though I could not say exactly where without lots of battery and time hungry tracker reviewing. My wife had sent messages to race HQ and the media cars were on the lookout which was nice though I knew that even if they found it that they could not return it to me before race finish. Happily, the weather was warm and it was less than essential, even if it did also serve duty as my sleeping bag. I had a few other layers and could keep warm in mid teen night temps. Breakfast done it was time to crack on! At this point I was once again ahead of Karen, Gavin and Matt and our pack was building a steadily increasing gap ahead to the main bunch behind us. Bjorn and Bernd were in a race of their own well out ahead. Matt reeled me in at around 15:00 near Doolin and chided me for not stopping long enough at CP2 🤣. Once more he rode off into the distance and I carried on my steady plod. A fatigued while later I stopped for supplies and decided to double check the ferry times. “Ummm last ferry is 21:00 not 20:00, oh fine I’ve got plenty of time then.” I relaxed and bought another coffee. 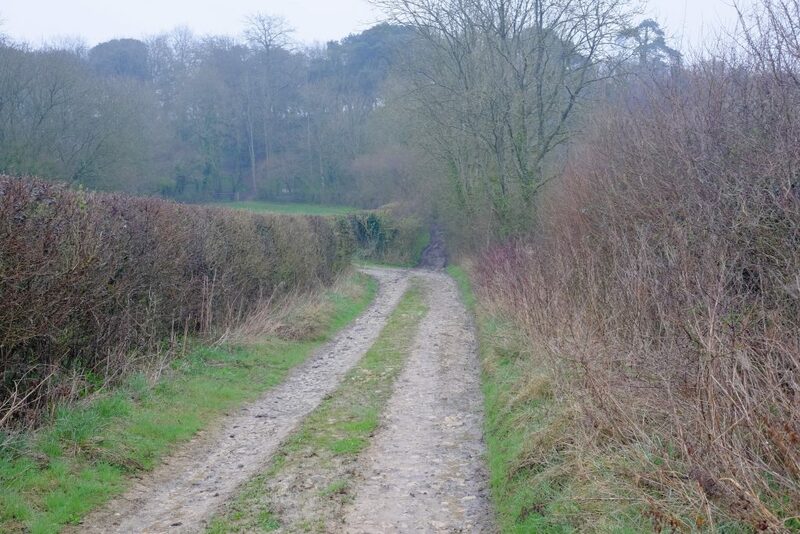 Now began the really exciting bit with long flat fast sections where I though “Yes! I’ll make it easily if it doesn’t get too hilly” only to then be confronted with a hill. At this point I was on an emotional roller coaster, from crying for no reason other than the emotional release, to laughing, shouting and cheering for the shear foolish thrill of it all, relishing the singular purpose of catching that darn ferry. I even accidentally climbed a very steep hill in my 34×28 gear rather than the 34×36 grandad gear that I usually resort to! Matt caught up again, he’d had a stop as well, and I kept him in my sights ahead as we completed the final dash. Made it with just minutes to spare! A grinning Pawel Pulawski and an incredibly tired looking David Tomlinson were there as well; having just missed the 18:00 ferry. Photographer Richard Marshall captured some images. It was gratifying to see how totalled these young chaps looked. I was going to celebrate with a shower and a B&B on the other side! Go easier on day 1 in particular. Spread my effort so less recovery is required. Plan my days more accurately and efficiently. In part two I’ll cover my steady decline from 9th place to 43rd, a different kind of ride/walk. Ever since I arrived here in southern France I’ve had the nearby and iconic Mont Ventoux in my sights as a ride challenge. Winter mountain weather has made this pretty much impossible up until last week (April 16th) when the weather changed completely. 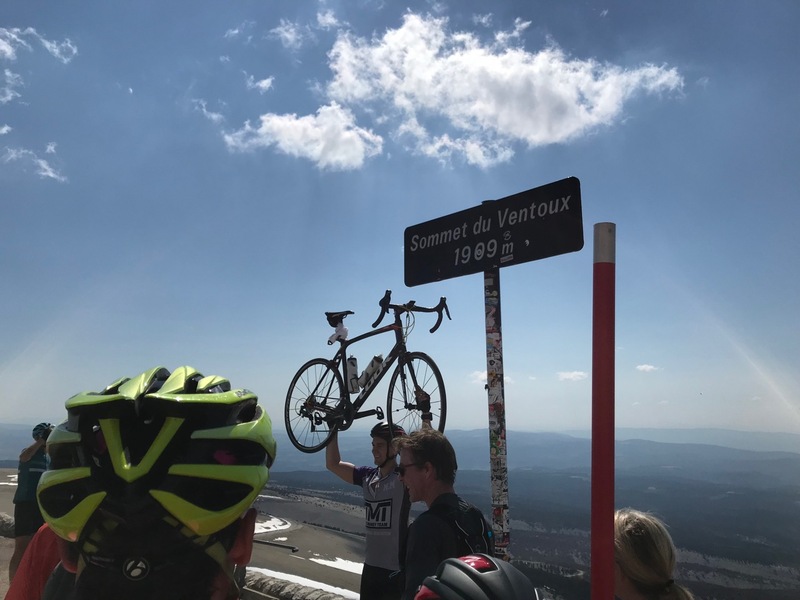 Rather than sub zero temperatures and gales Ventoux was now apparently set for 10c+, light winds and sunshine. 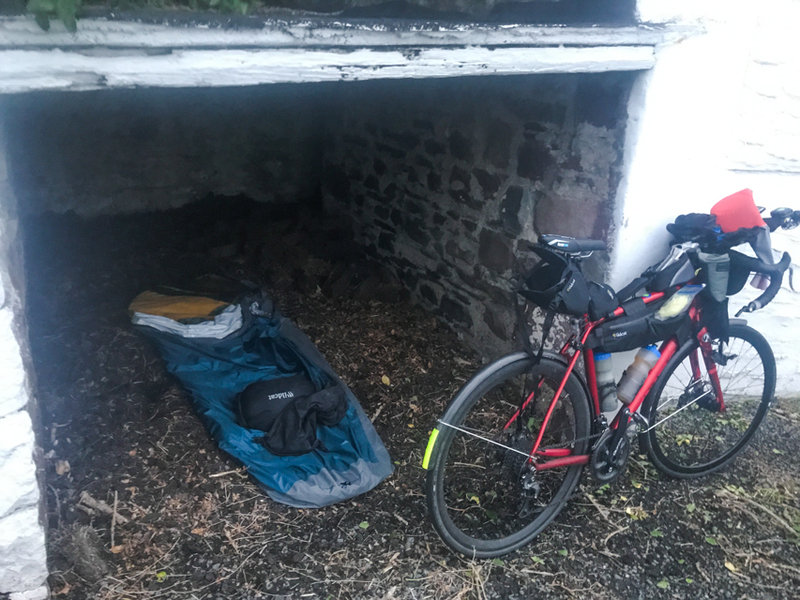 For the past several weeks I’ve been heading out on overnight adventures each weekend as part of my preparation for the 2018 Transatlantic Way Race. The physical and mental training benefits of long, solo, multi day rides are many, whilst getting ever more familiar with my gear and provisioning on route is also very helpful. An overnighter to Ventoux just had to happen. My plan for this Ventoux trip was to ride about 125km on Friday night and camp out. This will then leave me a 25km warm up ride in the morning before riding the classic ascent from Bedoin; breakfast at the summit, descend to Malaucene and ride back to La Ciotat, just like that..
Friday had been a busy day already as I’d driven from Viareggio, Italy, back to La Ciotat, France and moved into new accommodation but though tired I was feeling pretty keen to get out on the open road again and for the first time in many months not be faced with icy temperatures. As a result of the many doings of this day I didn’t manage to get away until 20:40 but this did make for quieter roads. You see very few other cyclists when you cycle at night, yet it really is a fantastic time to ride. 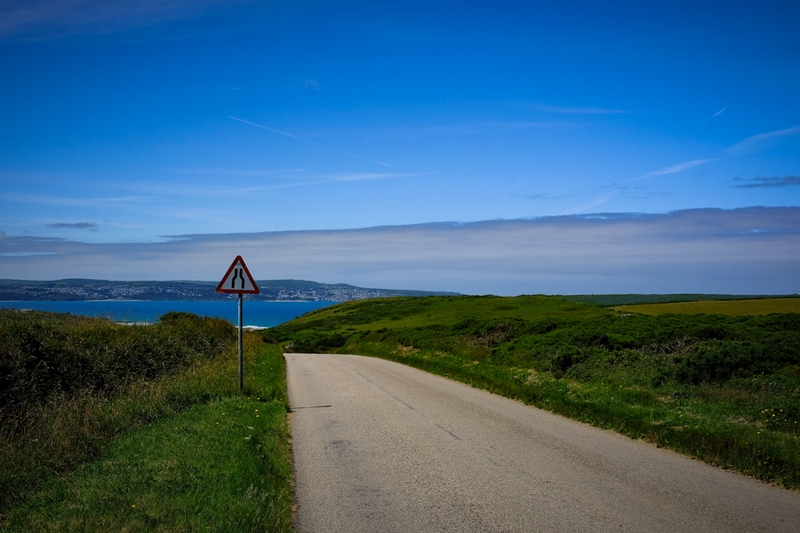 The roads are quieter and the approach of traffic from behind or ahead comes with a reassuring early warning glow from headlights and added to that it’s generally a less windy time of day. Certainly, there may be an increased sense of exposure and vulnerability as you pass by closed shops, through sleeping towns and hear the eery sounds of waking forests but all of this is part of the adventure, the taking of the road less travelled, even if only because of the time of day. Still it’s a strange business I’ve gotten myself into, this setting off into the night to ride hundreds of kilometres. I immediately begin counting off the distance on my bike computer until I can stop, as if I’m wishing the time away. There is a fair amount of effort involved in all this cycling so looking forward to the next rest point is an understandable part of this clock watching but I think another aspect is about simply maintaining a sense of place or position along a route. My tiny computer screen just shows an direction arrow along a road and some other ride data. 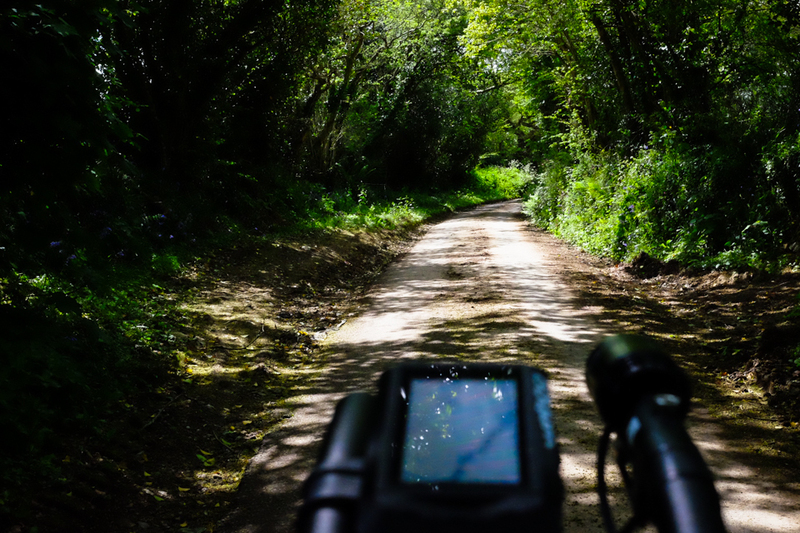 Place names come and go but in unfamiliar places my memory is unable to place them on a route as the ride progresses so it becomes; 20km done, about 5 hours to go at this rate then, 45km, 4 hours maybe,…etc. Then finally I arrive, or get to rest, and it all starts over again. Once an adventure is finished then almost immediately the planning for the next begins. One day, when I’ve tired of endurance races, I may just get out and start riding and see where I end up… I’m not ready for that yet though. Wise people will tell you that a happy life is all about enjoying the journey and not the destination. 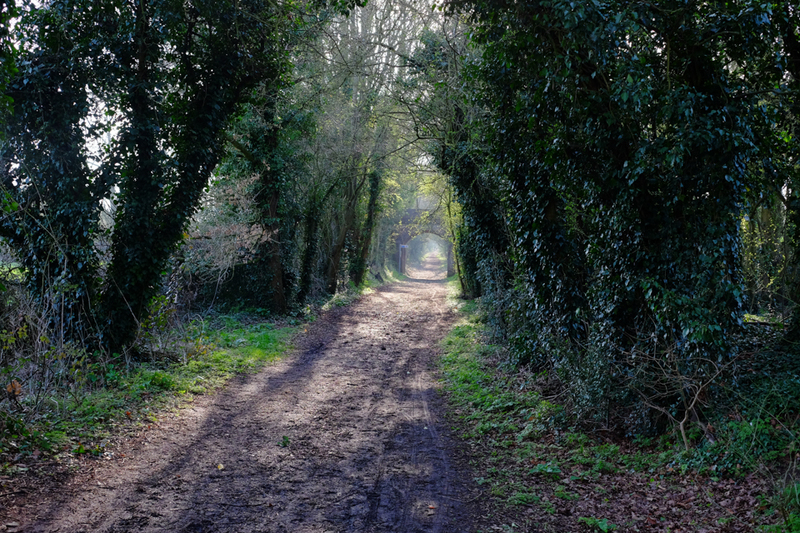 I agree, though defined destinations can add clarity to a journey. As the night progressed I faced my usual challenge of finding somewhere to refill my water bottles. In the UK virtually every petrol station has an outside tap or water point. 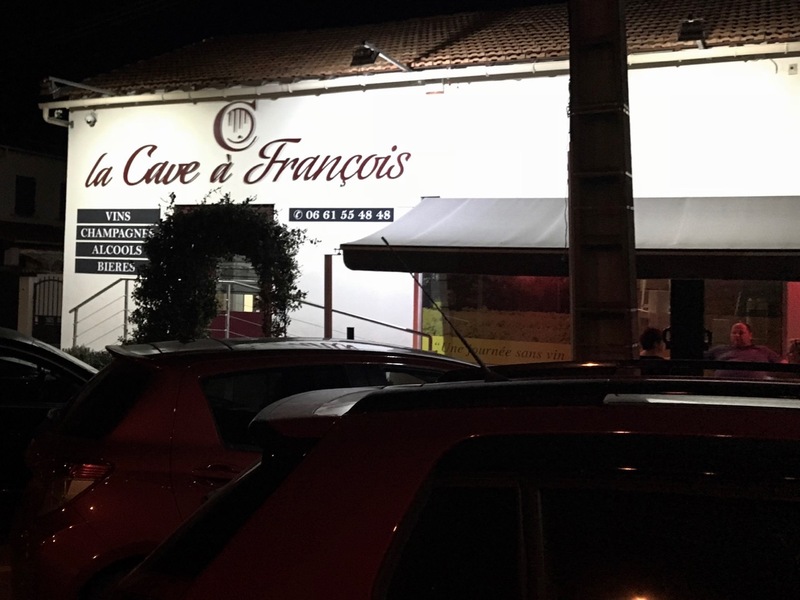 This seems to be a rare occurrence in France and after many failed searches of garage forecourts I happened upon La Cave a Francois in Mallemort at around 1:00 am. My water bottles were kindly refilled and with a smile I headed away for the final hour or so of this night’s ride. It was calm and around 10c which felt comfortably warm compared to some of my previous weeks adventures. No need for any additional shelter tonight. At around 02:00am and with 125km ridden I pulled off down a side road and found myself a nice grassy field to bivi down in. With no requirement for full race type sleep deprivation I set an alarm for 07:15 and suppered on chicken slices and a cereal bar before getting my head down. My bivi is an Outdoor Research Aurora and I’d recommend it to anyone. 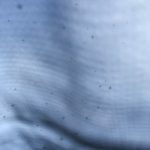 I selected it as being the lightest, fully breathable, bivi with a built in bug net. At 600gm it’s not as light as some but as this is my primary sleeping arrangement rather than an, in case of, kind of shelter I’m happy to lug it about. I’ve slept in here soaking wet and woken up nearly dry. The only indication left from my presence that night was a flat spot in the grass. Treading lightly; I like that. I was on the road again by 08:00 and riding towards the beckoning peak but with little real realisation of what really lay ahead. It was about 9c and I was wearing a merino base layer along with a warm short sleeved spring/autumn jersey plus leg and arm warmers. I duly arrived in Bedouin nicely warmed up and decided to remove the arm warmers but nothing else as experience has shown that it it tends to get a lot cooler as you get higher. I munched a couple of Snickers bars, had a good drink and set off confidently for the summit. I soon passed a couple of people on mountain bikes and a woman on inline skates but I think from that point on it was everybody else passing me. I’ve ridden some long climbs already this year but nothing like this and it turned out that I’d made a grave error of judgement regarding my clothing. I just kept getting hotter and hotter… the sweat was pouring off me. I fully unzipped my jersey and pulled my leg warmers down around my ankles but that didn’t help much. My ride data shows that rather than the temperature decreasing or even holding steady it actually rose to 27c! On the chart here red is heart rate, blue is temperature, pink is power and green is speed. You can clearly see how my HR rises and stays high but my power drops with the increase in temperature. I stubbornly refused to stop to remove layers. My first Ventoux ascent had to be a non stop event… The road got busier and busier as time passed with people panting past me with a “bonjour”or flying down on the descent. One guy flew past me on the way down and then flew back past me on the way up again. I saw some highly muscled legs that morning! 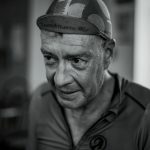 I was very slow compared to other riders but I comforted my bruised ego with the thoughts that the others probably hadn’t ridden 125km the night before and slept in a field for 5 hours. They most certainly were not riding on around 18kg of loaded bike and they were generally a lot younger! 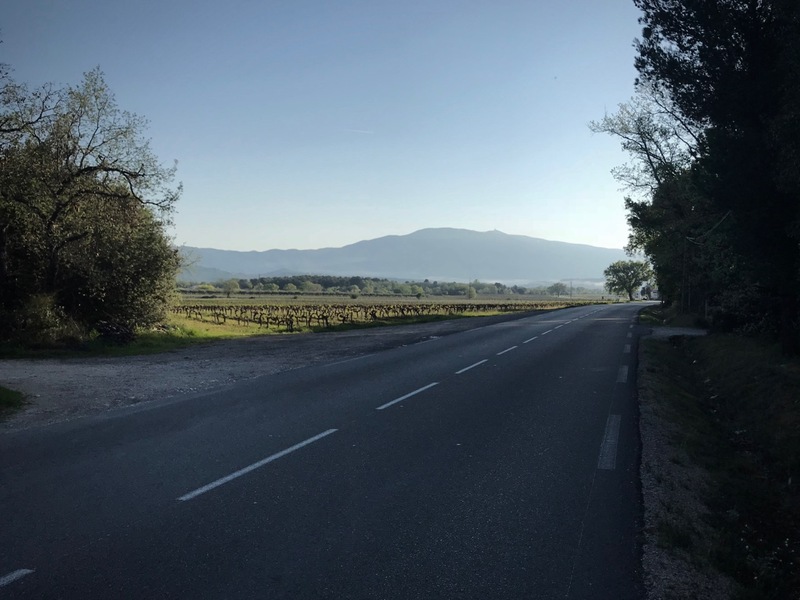 Once you get out of the Ventoux forest section and above the tree line the road taunts you with glimpses of the big tower on the summit which seems much closer than it is. By now my body was screaming at me to stop and walk, the sweat was burning in my eyes and I just wanted it all to end. The soles of my feet were also burning from the relentless pedal pressure. Still it also felt good to be riding a classic cycling climb and to see the writing left on the road from the last Tour De France here in 2016. I could almost feel the excitement and picture the crowds cheering. The idea that Chris Froome and others have ridden up here in under and hour was just mind boggling. My Strava segment shows a woeful 2hrs 32min. I’ll have to return fresh and unladen! Tired but triumphant and with leg warmers around sweaty ankles! The more usual celebration going on around me was to hoist your bike aloft. I wasn’t going to risk that with my fully loaded bike. Time to find more drink and and eat something. I loaded up on Coke and water and foolishly bought a bottle of Powerade….uurgh that was so hideously chemically tasting even compared to the Coke! Still it had much needed fluid and calories. I found shelter from the wind and sat in my black Gore jacket in the sun in order to stay warm. I tend to chill rapidly after a ride so know I have to wrap up even if I feel hot initially. My planned route down was via Malaucene but it turned out that this was closed due to snow. Ho hum, back the way I came then. I rode a bit quicker, relaxed my grip and gained confidence. Awhile later a group of guys passed me and I thought “…mmm I could use them a pacers” so I tagged along behind and it felt like we were really flying. Ride data shows a fast, for me, 69kph. Then it all got terrifying, I developed a severe front wheel wobble and was seriously thinking that I might have to bail into a bush or something. I’ve heard of this happening but never experienced it before myself. My Genesis Datum has only inspired more and more confidence descending the longer I’ve ridden it. I had to think quick…”front wheel wobble, relax grip, ease off on the front brake use the back brake a little more relax, relax, relax..” it worked and I wound steadily to a halt. Pah…what a morning! Frankly I just wanted to go home and cry! Adrenalin and endorphins did their job though and I was soon back on the descent and concentrating on not shivering or white knuckle gripping the handlebars. The sheer pleasure of resting my weary feet here just cannot be overemphasised! Back in Bedouin it was a hot 33c and I spotted a couple of guys resting their legs in the town fountain. Oh I had to have some of that! 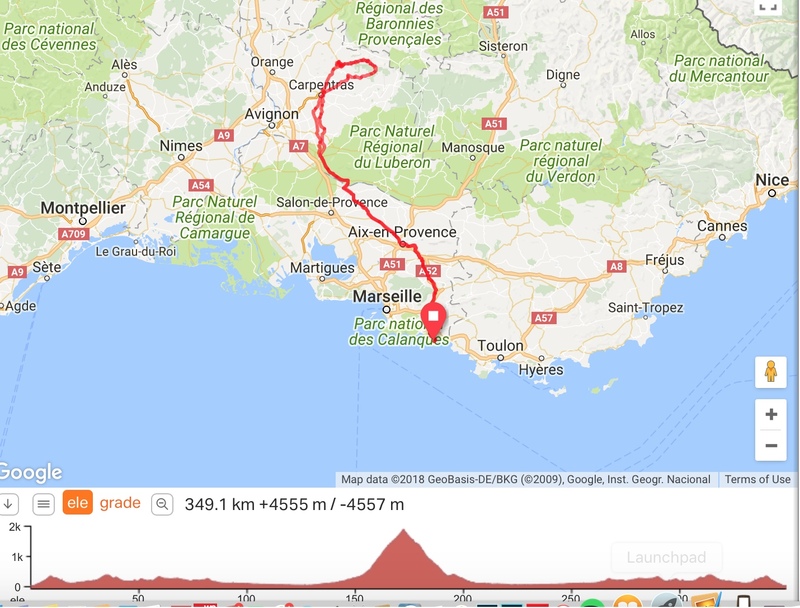 I could have just stopped there, had a nice lunch, maybe even booked a B&B and simply ridden back to La Ciotat the next day. Nope this was a training ride, not a tour. I still had 150km to go and another 1000m of climbing to be done. 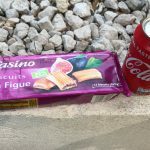 Fortunately the next couple of hours were on pretty flat roads so I just treated it as a steady recovery ride and kept eating snickers bars, drinking my Coke and water mix and munching chicken slices. 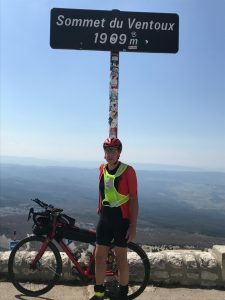 Temperatures were in the low to mid 30’s and I was still a bit over dressed in just my spring/autumn jersey but the airflow helped keep me from overheating too much. As I made it back to the hills the temp fell to the mid 20’s and then into the teens and by then my body had regrouped enough for me to make quite decent progress again. I was home in time to have a shower and pop out for a well earned Negroni cocktail and a bite to eat with the satisfying sense of a day very well lived! 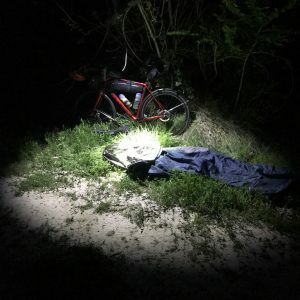 I haven’t ridden an overnighter since August 2017. It’s now February 2018 and my life circumstances have shifted so that I’m mostly based and training in the south of France rather than my home in Cornwall England. There’s certainly worse places to be! 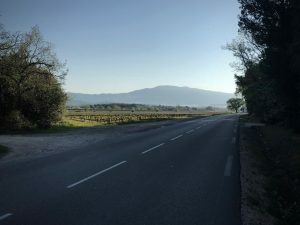 The cycling here, near Toulon, is excellent so long as you like hills, mountains and wild landscapes. Luckily I do and I figure that riding in such arduous terrain can only benefit my training for this years TAWR. Riding off into the night and camping wild in just a bivouac bag is hardly common, comfortable behaviour for most of us but my intention is to become increasingly comfortable doing just that. I have a no B&B policy for the race itself because I desire and enjoy the adventure of that level of self-support. Finally, as we’re heading into the later half of February, the inland overnight temperatures here are not regularly well below zero and the nights very long. You can camp out in such conditions of course but it necessitates carrying more gear and I can’t say that it inspires me very much. As it turned out this trip still had temperatures down to -3c and the cold was quite an issue for me. In the Relive video below you can see that the end of this night ride was basically one long freezing descent. I should have put another layer on but as I was pretty warm from the previous climb and could not really recall the topography of my route and how long the descent would last, I didn’t bother. Big mistake! I must say I had a feeling of trepidation before I set off on this one. It was further out of my comfort zone than usual. Riding into the unknown, in a foreign country, where I don’t speak the language and with no close contacts nearby. This night ride had me questioning my motives when I was on busier and less enjoyable roads. “What am I doing this for?” “Am I mad?” “Why bother?” “You could just turn around” I don’t have a clear answer for any of this. I know it’s a form of escape from the mundanity and compromises of daily life and I know I feel, in some way, more alive when I do these trips. Other than that the simple answer is I truly enjoy it, even including the moments when “I’m not enjoying it”, if that makes any sense. Within 2 or 3 hours such thoughts had passed and I was into that calm night riding zone when the roads become almost empty and there’s more or less only the sound of the wind in your ears, your breathing and the purr of the bike’s drivetrain for company. I find it almost meditative. Due to the high wind chill factor winter riding is typically an experience of too hot on the climbs too cold on the descents, and I’d had plenty of this in the 5 hours or so before I finally arrived in a chilly state at my target of the Elan 24/24 service station at Salles Sur Verdon I’d hoped to at least to find a vending machine here but I had no such luck. The night was cold, clear, calm and starlit. 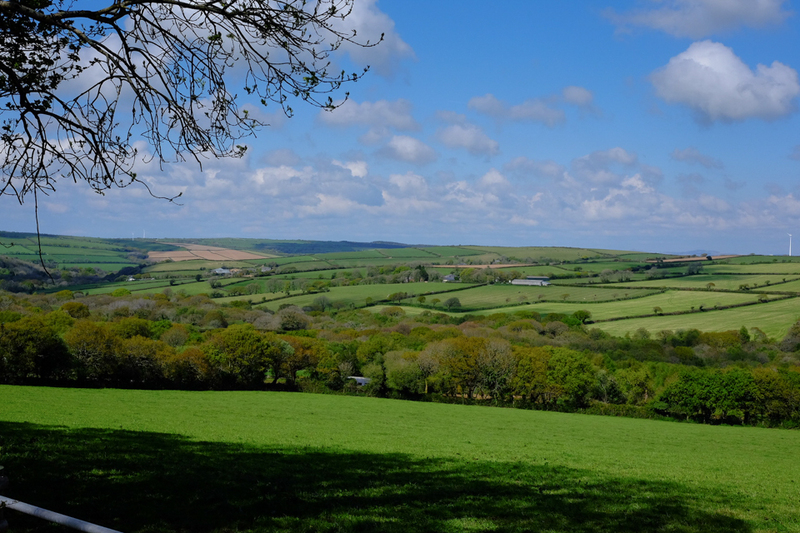 Beautiful – time to find a bivi spot. 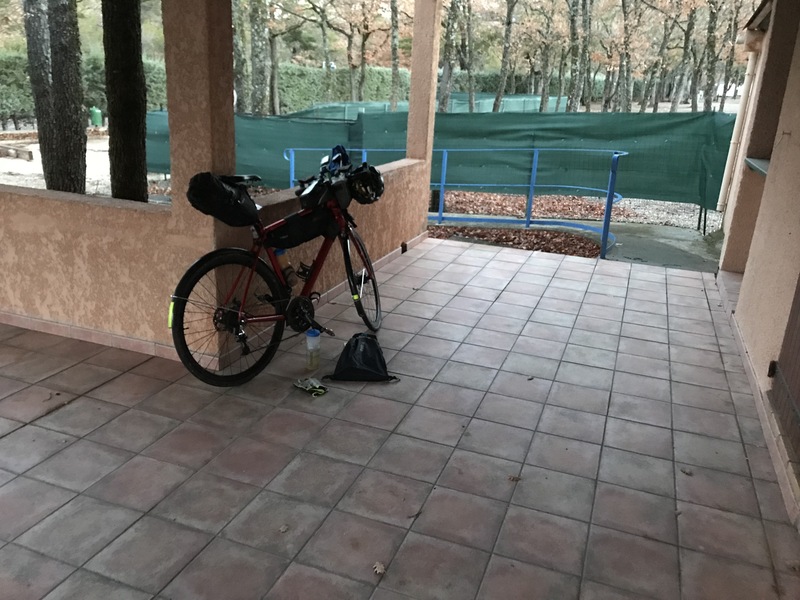 I always seek covered shelter when using my bivi bag as being exposed to any wind makes it very noisy inside and any rain is also noisy and then adds a lot of unnecessary water weight and general unpleasantness when packing away in the morning. Shivering, I pedalled around the area looking for somewhere vaguely appropriate to camp. 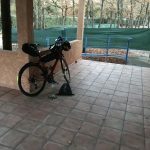 The best I could find was a covered patio area in front of a closed campsite. The cold tile floor was less than ideal for warmth but it did make for easy, clean, setting up and packing away. By this point my fingers were so cold that I couldn’t unclip my bags or helmet..doh! 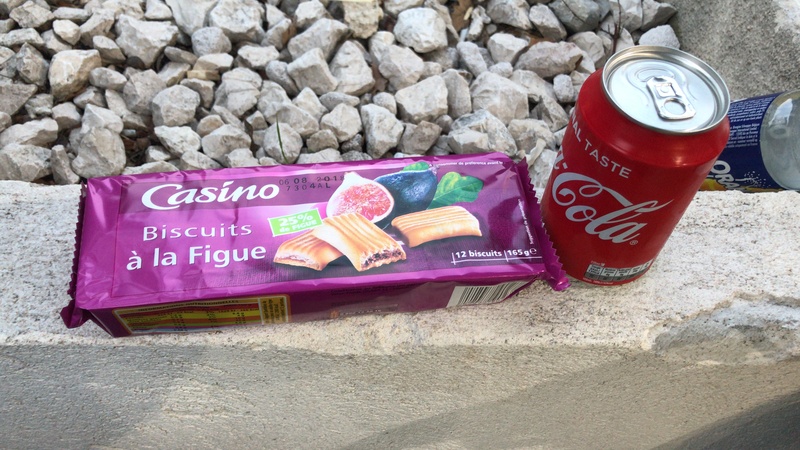 I’d not found anywhere to buy more food or drink on this ride either so my rations were low. Due to the cold I hadn’t needed to drink that much and a service station tap had at least allowed me to top up the juice mix in my bottles ready for the morning. Running low on fluids is to be avoided at all costs. 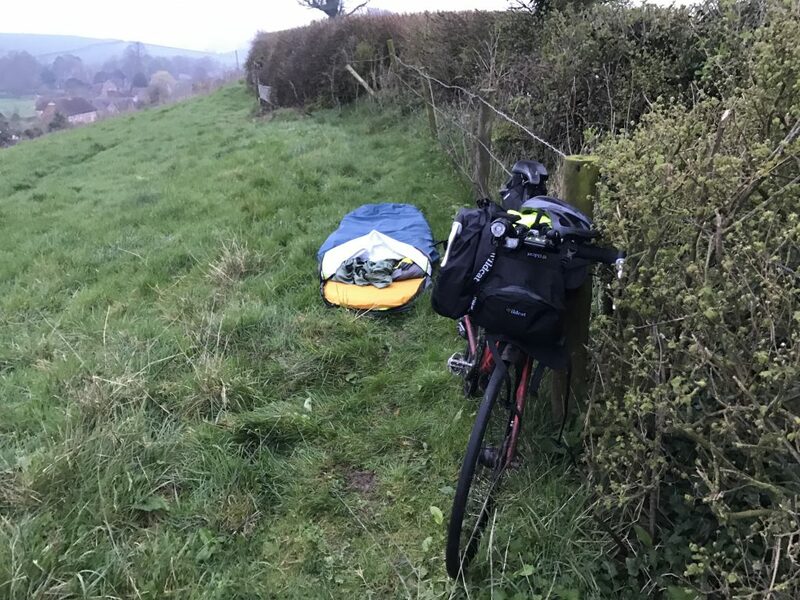 I had stupidly gambled on being warm enough on my toasty warm Thermarest mat, with just my cycling clothes and a down jacket to double as a sleeping bag. This has been fine before at +3 or 4c but with me being very cold already and with the freezing conditions it wasn’t so good at all and I literally shivered the night away, waking frequently and miserably, dreaming of being warmed by the first shafts of dawn sunshine. No chance! The sun was way over on the other side of the mountains but still it was a warming thought and every little helps. On the next trip my down quilt is coming with me regardless of the added weight and packing squeeze! I had a long warming climb to look forward to this Sunday morning and was expecting to soon be shedding layers but it was not to be. I was wearing, bib shorts, a short sleeve merino base layer, thermal leg warmers with merino knee warmers on top, a winter jersey, 2 pairs of socks, a TAW gilet, a Gore shake dry jacket , a primaloft quilted gilet and a full Rab down jacket over that plus a merino buff and cap. This entire lot stayed on for several hours without me overheating, hill climbs and all. I must have been properly chilled through from my cold night. Still, this was a fabulous ride apart from the early cold and hunger due to the lack of open food shops on a Sunday in rural France. The first col, Source de Vaumale of this ride is probably the longest climb I’ve ever ridden. 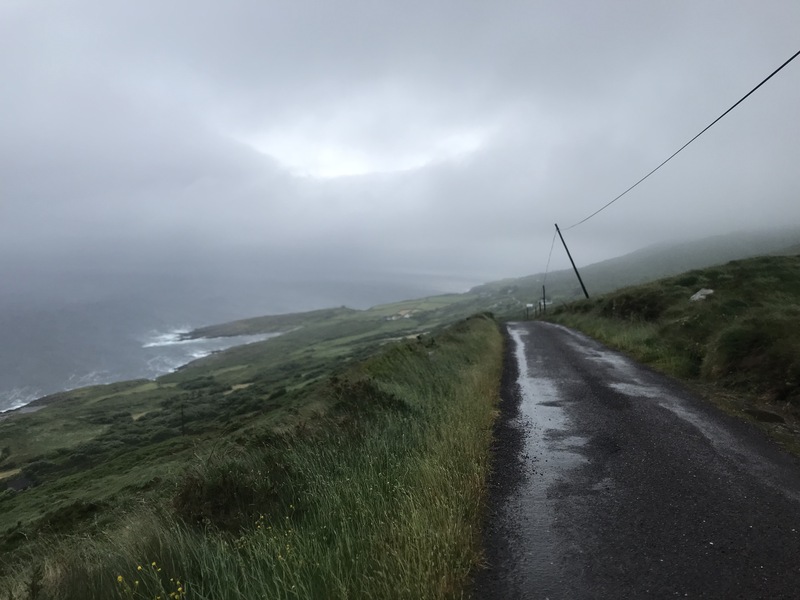 At 12km and with an average gradient of 5.9% and a maximum of 9% it’s hardly Irish or Cornwall style steep by any stretch but still the added distance helps make up for that. The views are glorious the whole way. 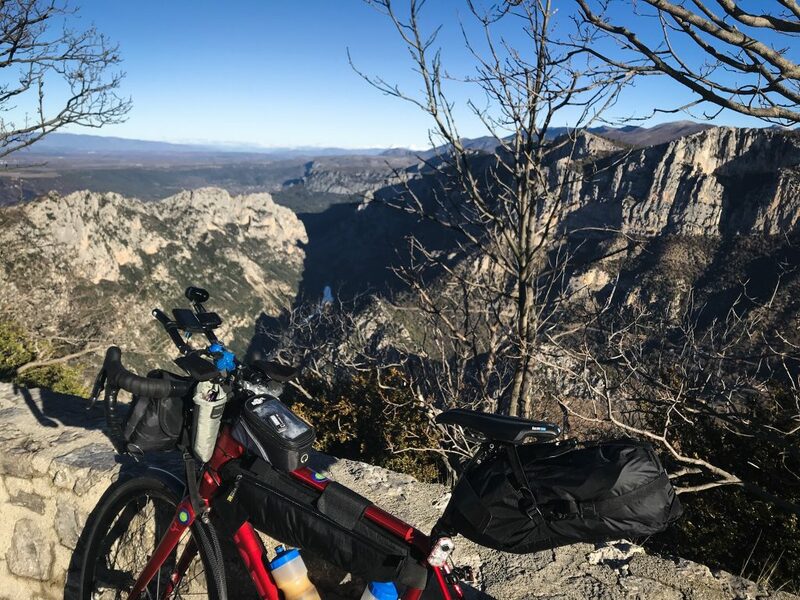 Having completed the climb it was time to ride on and find a sunny spot for my well earned breakfast of another couple of chicken breasts and cereal bars. The ride data for the previous night ride suggests that I’d burnt around 4000kcal, add on the energy burnt trying to stay warm over night plus the climb just completed and it is clear I was very well into an energy deficit even after breakfast. Good training! I certainly felt short on power but not like I’d “bonked” or hit any kind of a fatigue wall. I just felt generally depleted but I was in good spirits nonetheless. It was a glorious day in the mountains with barely a soul on the roads, life was good. 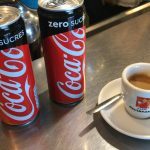 I eventually arrived at a village with a very small open Tabac bar but with no food or snacks in sight I ordered 2 Cokes and a coffee. The Cokes that arrived were sugar free..! Part way through the first Coke I spotted some full sugar Orangina and swapped out one of the cokes. I had three cereal bars left so ate another of those and pressed on. Maybe an hour later I arrived at another tiny bar full of French gents enjoying small lunchtime drinks. Full power Coke this time and another cereal bar. It helped. 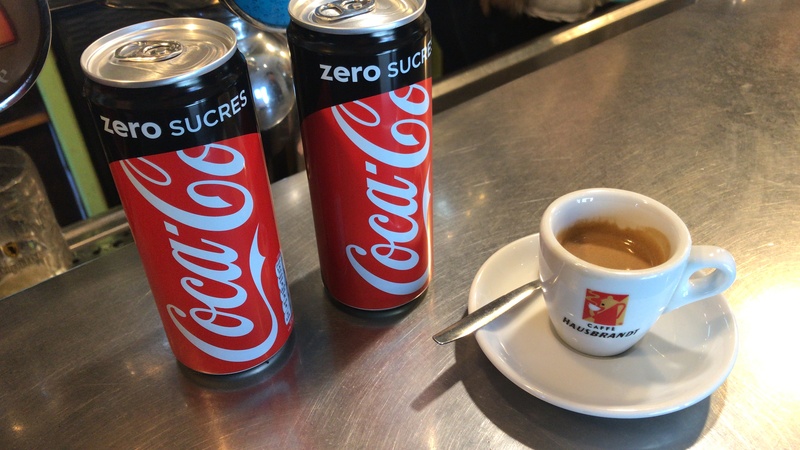 Finally at just after 2pm and nearly seven hours into my ride I found an artisan bakery open in Draguignan and had a truly, truly, wonderful tuna and egg salad baguette accompanied by a large slice of pizza whilst sat in the now warm sunshine. Oh my this made a difference and it wasn’t too long before I felt my energy levels increase. Bouyed but my increased energy I considered trying to make it back to my start within 24hrs but concluded that enough was enough and I didn’t need any more self induced challenges. An open Spar shop just 30km or so from my finish lured me in for a final junk food top up before the last hill climb. A large Coke and entire pack of fig rolls later and that was me sorted for the final push; the darkness and cold was closing in again. All in all a great adventure and good mental and physical training. I learnt a lot about what not to do and burnt off some unneeded weight, at least half a kilo. In September 2016, shortly before I signed up to the 2017 TAWR, I was cycling simply for pleasure and to improve general fitness. Once I’d committed to the 2017 race I knew I was going to need to raise my game so I began studying online articles and generic training plans. It wasn’t long before I concluded that this approach wasn’t going to be as effective as I wanted, there were just too many variables and too many opinions. Virtually every, if not all, serious athletes in any sport employ coaches. There’s a reason for that, coaching is proven to improve any athletes performance. Just because you or I are “lowly” amateurs of varying ages, ambition, experience and levels of ability doesn’t mean we don’t deserve or won’t benefit from coaching. If you’re planning to complete an endurance race such as the TAWR then make no mistake you are, or swiftly need, to become an “athlete”. 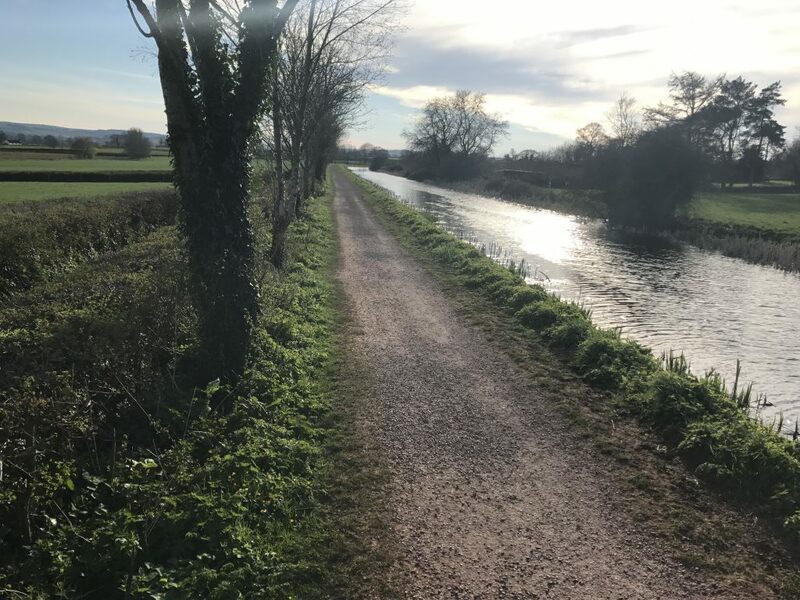 The race itself maybe unsupported but in the run up to it you are going to benefit from all the support you can muster to encourage you to keep getting the quality training hours in alongside all your other distractions, demands and responsibilities. 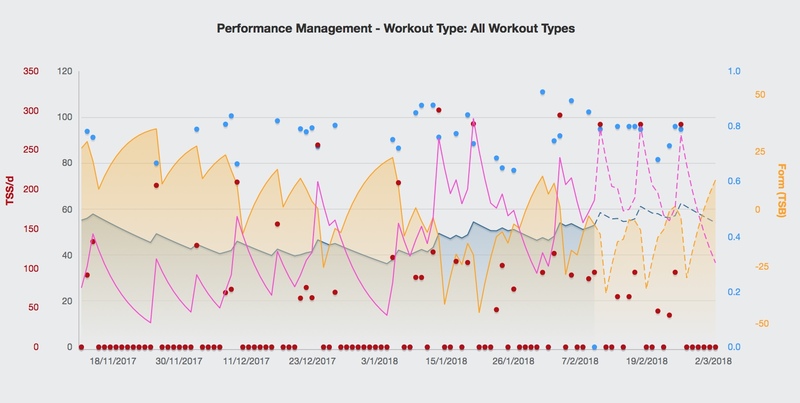 Having a coach setting my training plans, analysing my performance numbers and offering feedback has really helped with my focus, commitment, sense of direction and confidence. I always know he’s watching. If I skip a training ride, I’ll have to explain and it’s not often that I do. The only downside with coaching is the expense. To get the best from it you absolutely need a costly power meter and of course you must also pay for the coaches ongoing time and expertise. It’s a luxury for sure but coaching will likely yield far greater advantages than buying a new bike for the event or costly, high end, ultra light components. £100 a month or less will get you well coached. That level of expense could be recovered by other lifestyle adjustments such as buying fewer posh coffees and less or no alcohol. I used Training Peaks’s find a coach service. 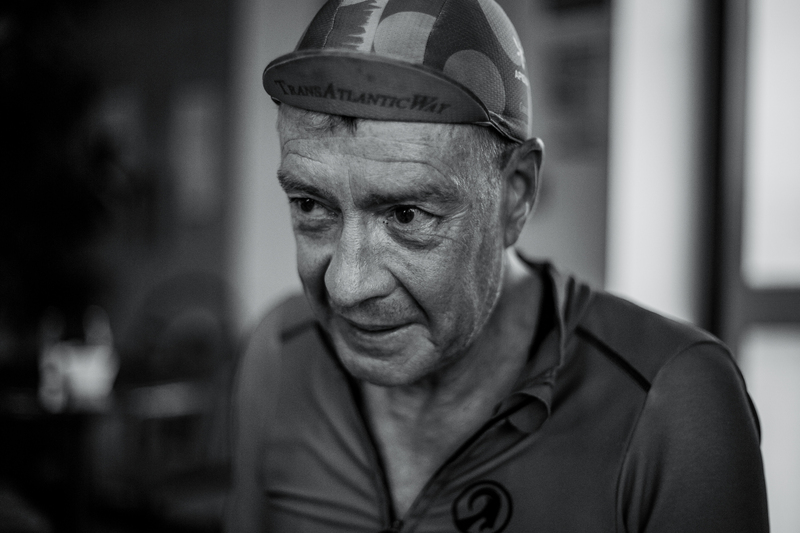 Training Peaks was founded by Joe Friel author of “The Cyclists’ Training Bible” and many other excellent books. I was already familiar with his work and I respect the balanced, deeply researched and measured approach that he brings to any subject he tackles. The Training Peaks service is highly regarded and widely used by many top athletes and teams. There are other options of course but with Training Peaks you can pretty confident your getting one of the very best packages. 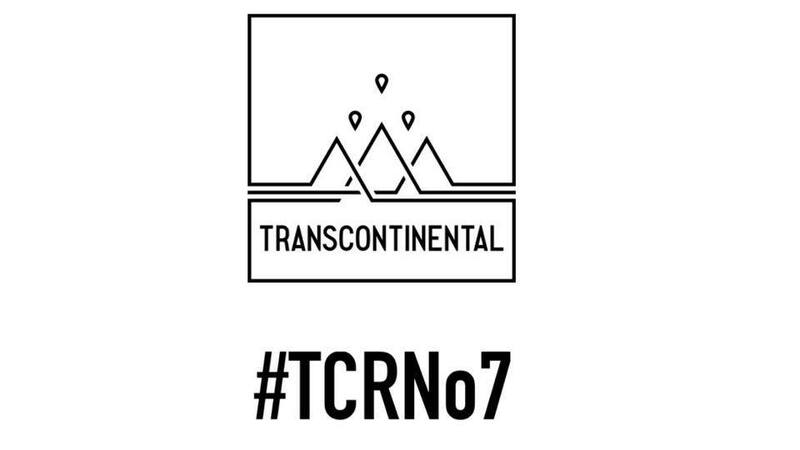 Multi day, solo, endurance riding is a tiny, niche, aspect within the global sport of cycling. Few coaches will have had any experience with working with such athletes so you are going to need a coach that is genuinely interested, understanding, adaptable and truly prepared to really think about what you’re trying to achieve. 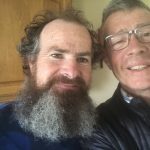 Training Peaks introduced me to Martin Burrows from KOM Coaching. Martin has 20 or so years of coaching experience, is highly qualified and a pleasure to work with. He recognises that coaching is an art and that every athlete is unique with differing strengths, weaknesses and goals. He focuses flexibly on what you need at any given time rather than any hard and fast preconceived agenda of his own. A periodised training plan is initially tailored to your circumstances and created with the target of having you arrive at your chosen event as ready as you can be. This is then further refined and adjusted along the way. I’ve asked Martin to share his perspective on the subject. ” Chris has touched on some of the many benefits of a having a coach. There are lots of great coaches out there, so I thought it might be useful to offer some advice on how to choose the right coach for you. One of the main benefits to having a coach is that they can be objective. Instead of you trying to make sense of the data and trying to look at the bigger picture whilst in the midst of a tough training programme, a coach has the advantage of looking from the outside in. This brings with it a sense of perspective which is sometimes impossible to see from the inside. Choose a coach who not only has the knowledge and experience needed to analyse your training sessions and performances, but also knows when to push you a little harder, when to advise you to ease back, who can offer support when you come up against set backs or things that don’t quite pan out as you expected, and who can show you the positives and where you are improving when you can’t quite see it yourself. There are lots of training plans freely available on the internet. These may work well for some people some of the time – if they follow them exactly. However they can’t possibly take into account a riders training history or potential, their work and family commitments, or adapt to unforeseen circumstances like illness or other reasons that a training session – or several sessions – are not completed. A good coach will take all of these things into account to ensure that a training plan is personalised and the rider gets the most out of it. A great coach will do all of these things and be prepared to adapt a riders training plan to suit everything about them, to change things when the unforeseen happens or life just gets in the way, and also to recognise that individuals respond differently to training. A great coach will work hard to create training sessions and plans that enable an individual to improve where it counts most in the pursuit of their specific goals and in a way that suits them best. 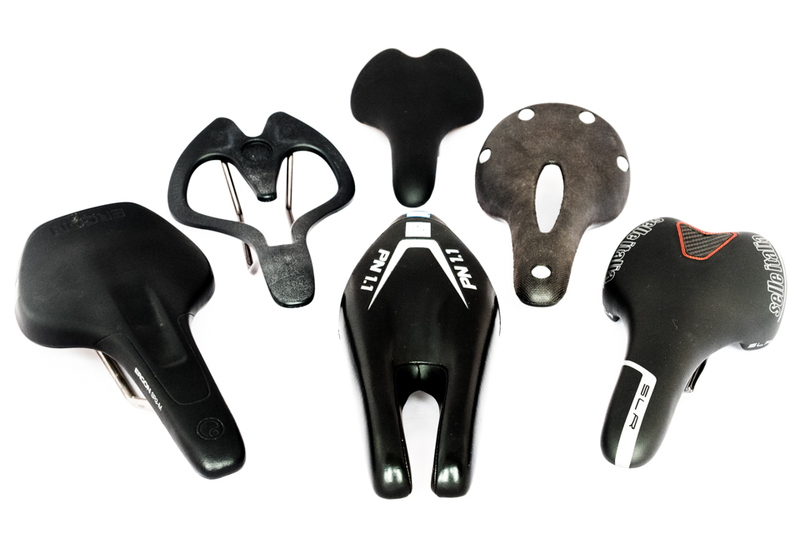 A great coach has a whole ‘box of tools’ and the creativity needed to design a variety of sessions and plans that bring about the desired training effects in a way that suits the individual rider. In the case of Chris, a drastic change in work commitments this year has necessitated a drastic change in the approach we’re taking to his training. Simply saying ‘you need to find x number of hours to train’ is just not going to work. I work hard to adapt and redesign Chris’ training sessions and plan to ensure that whatever is going on around him he continues to get stronger and faster and move closer to his goals. Find a coach that is flexible in their approach and has the knowledge, skills and creativity to ensure that your training plan is truly personalised, giving you the very best chance to succeed in your goals. This really is the key to it all. Just like any relationship, some people get along or work together better than others, and just like any good relationship you both need to work on it. For your part, you need to communicate regularly so that your coach knows how easy or difficult each session was. Did you struggle on some parts? Were other sections easier than you expected? All the numbers in the world can’t show the whole picture. Tell your coach how it felt so that your coach can put the last pieces of the jigsaw into place. Only then can your coach ensure that you are working on the right things, that you get the most out of each session and devise a plan to help you train smart and reach your goals. Help your coach to help you! There’s a seemingly inexhaustible supply of aspirational features in the media telling of remote adventures into the wilderness or continent crossing epics, of living life beyond the confines of an average adult’s lifestyle. Whilst it might seem wonderful to indulge in a similar adventure for ourselves practically speaking this is going to be a very big ask for most working adults and, in reality, something only a very few are fully committed to do. These stories may seem to imply that only such wild, grand adventures are of any importance or benefit. This maybe true if you’re wanting to sell articles, magazines or gain sponsorship but if you simply wish to enhance your life then nothing could be further from the truth. That’s a broad definition but note the key ingredients are simply “unusual”, “exciting” or “daring” and its not hard to find those ingredients. Balancing the typical adult demands of work and family can make disappearing off for weeks or days on end unacceptably or irresponsibly unusual. There is no reason to feel too saddened or trapped by any of that as you can still derive great benefit from remarkably fine adventures very close to home, wherever that maybe. Short bike packing trips can be the perfect mini adventure. Set off alone on a Friday night and ride into the darkness for as many hours as you wish and then camp out before riding home again taking as long as you wish. Riding well into the night is pretty unusual for most cyclists and just sleeping in a bivi or makeshift shelter, is pretty darn unusual for most people period. Riding any distance alone isn’t very common either. Things happen when you do something like this. Being alone on a bike forces you to confront yourself and listen to your anxieties or inane mind chatter. That can be uncomfortable because you may discover you’re probably a little more neurotic than you ever wanted to believe! The “stuff” that you may normally, subconsciously, avoid facing by immersing yourself in a hectic life with endless distractions can now make it’s presence felt. No matter, you now get to enjoy all the benefits of adventure therapy out alone on your bike. Riding a bike demands you focus your mind on the road, traffic, navigation, and staying safe but at the same time there is also a sense of space for you to think clearly. I feel it focuses me in two directions. As the hours pass you can find clarity about other challenges in your life and learn to quiet the nonsensical ramblings of the mind. You feel more exposed riding alone at night but you also feel an increased sense of freedom. You experience a heightened sense of your vulnerability but your also get a greater sense of your strength. Sleeping in a bivi bag can feel claustrophobic or safe and snug. Every experience can feel good or bad, being alone on the road heightens your every sense of this, and continually challenges your resolve to choose to make the best of everything. In this post I share what I’ve learnt about saddle comfort. I’ve been cycling since I was a kid as a way to stay fit or get about locally. It is only in the last year that I’ve been riding regularly for several hours at a time or even days on end. 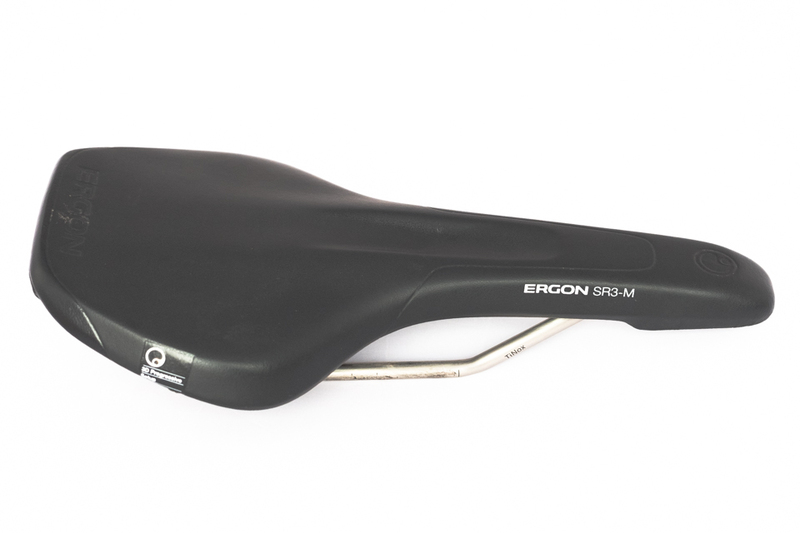 My biggest single challenge with any of this has been dealing with saddle discomfort. The cycling industry doesn’t like to put newcomers off by dwelling on this but it can take months to fully acclimatise your sit bones to the demands of sitting upon a bike saddle for hours on end. 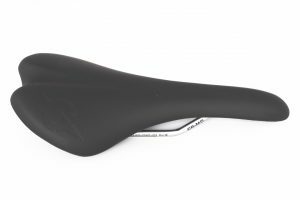 As a new cyclist you have to begin slowly in order to accustom your bum to the saddle experience; no matter what brand or design of saddle. Just complete very short rides on alternate days to begin with, there are no shortcuts, it simply takes time for your tissues to develop and adjust to this new demand. Tilting a saddle down to reduce perineal pressure tends to place more weight onto your hands as you stop yourself sliding forward. This can lead to nerve pressure resulting in numb fingers or cyclist’s palsy. Saddle width needs to be matched to sit bone width. Wide (130mm+) sit bones on a narrow saddle particularly cause soft tissue pressure. A professional bike fit is money very well spent. I had an in depth hour long fit and follow up fit with Kernow Physio that included video analysis and physiological measurements to get an optimum starting position. A follow up session some months later further refined this. 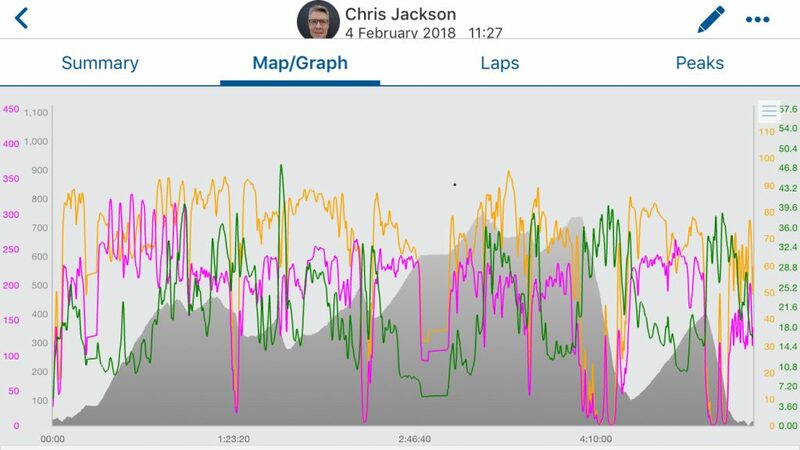 The whole process gave me an understanding of the dynamics my bike position, ideas on how I can improve aspects of my strength and flexibility as well as insight into how I can make further micro adjustments if necessary. Get a professional bike fit, no online article or video is any kind of substitute. Scott at Kernow Physio say this about the importance of also combining physiotherapy assessment with a bike fit. “…Full Physiotherapy assessment: This is a key asset to Kernow Physio as one of the most important aspects of a bike fit is understanding how the client moves. And experienced Physiotherapy knowledge certainly helps this. 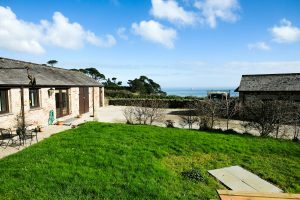 Kernow Physio is one of the few bike fitting companies to be run by a fully chartered Physiotherapist. 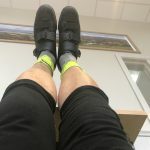 Key assessment areas include flexibility, true leg length discrepancy, restriction of hip, knee and ankle movement, and a footbed assessment if required.” It worked for me. Even just a few millimetres of adjustment (of many different components) can make a significant difference. What feels comfortable for 4 hours may not prove so comfortable on much longer rides. Good core strength stabilises the pelvis and back which aids comfort. It’s necessary to cross train and combine other exercises beyond cycling to support longterm cycling comfort and endurance. With strong, flat abdominal muscles your pelvis tilts forward less and reduces perineal soft tissue pressure. There is no one size fits all solution. Seek the best advice but also trust your judgement; only you really know what is right for you. Very few experts in bike fit or coaching actually have much experience with unsupported ultra distance cycling. Used on my previous bike. I had high hopes for this but try as I may I couldn’t get a comfortable position with it. This came with my Datum bike but didn’t work well for me. 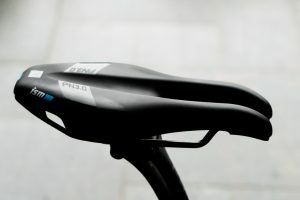 This at first seemed like the solution to my problems but again I couldn’t get a fit that allowed for comfort and blood flow in an aero position using the drops or TT bars without tilting the saddle nose down. Any nose down saddle position had me putting too much weight on my hands to stop me sliding forward. This then lead to nerve constriction and numbness and tingling in my fingers. 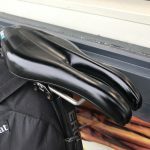 This is the saddle endurance cycling supremo Kristof Allegaert uses and having watched him cross Australia on one during the IPWR I thought it was worth a try. 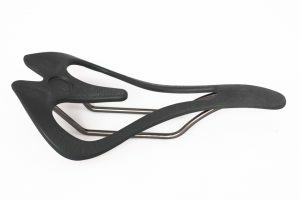 Once again I had the same issue of needing excessive downward saddle tilt to maintain blood flow in more aggressive riding positions which lead to excess hand pressure. Aside from perineal pressure there is also the issue of saddle sores where your sit bones make contact. I haven’t suffered particularly badly with this but it’s something I’d idealy avoid. I read many glowing reviews about the comfort of this saddle and it’s design intrigued me. Sadly, my sit bone width at circa 130mm resulted in my sit bones resting, very uncomfortably, exactly on the edges of the cutout rather than within it. I could also tell that even if this wasn’t the case that I was still going to have perineal pressure issues. Another one for eBay and a real shame that http://infinitybikeseat.com don’t provide better pre-purchase sizing guidance. Success! 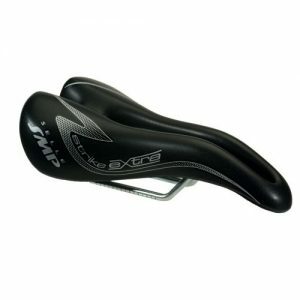 This is the saddle I rode the 2017 TAW race on with virtually no blood flow or nerve issues and only mild saddle sores. I find I can move around a lot on this, but still stay comfortable, depending on whether I’m on the hoods, drops or TT bars. The pressure on my pubic rami bones took a few weeks to get used to but then I was set. It’s not quite perfect but certainly the best I’d found until I upgraded to the new PN 3.0. This is a seriously good saddle for my needs. 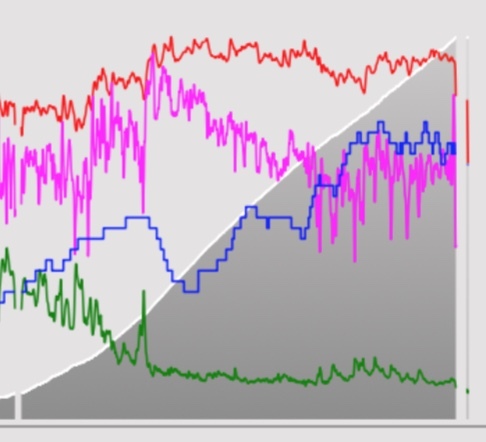 Virtually zero blood flow issues riding in any position. 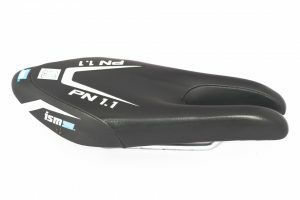 Compared with the PN 1.1, the wider back offers more pelvic support and allows me to sit back onto my sit bones if I want. 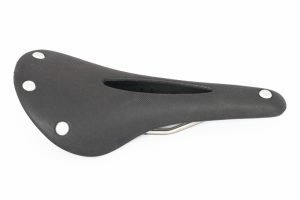 The slightly different to curve to the top of the saddle fits my anatomy better. Small changes compared with the PN 1.1 have resulted in even better comfort. There maybe more comfortable saddles to be had but I’m content with this and no longer looking elsewhere. My focus now is on managing friction and eliminating saddle sores. Check out ISM’s design theory here. Thanks for reading, I hope you’ve found this useful and wish you happy, comfy riding.